The ITEXPO 2018 program is currently being built, however, if you are interested in speaking at one of our collocated events, please click the below logos to apply. Call for Speakers submissions for ITEXPO and all collocated events are still being accepted. 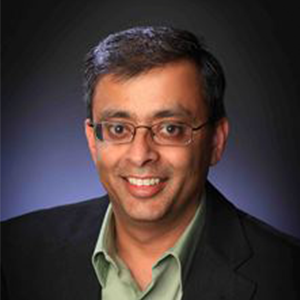 Ritesh Mukherjee is Vice President of Product Management at 128 Technology where he leads routing technology strategy. His expertise includes routing/switching, data center, cloud, SDN/NFV and IoT. Prior to 128 Technology, Mukherjee was Director, Network Solutions at Huawei where he led the technical solutions team, and Manager, Product Management at Cisco where he led the software operating systems group. Mukherjee holds a Ph.D. in Computer Science from Concordia University in Montreal. » Can You Hear Me Now? 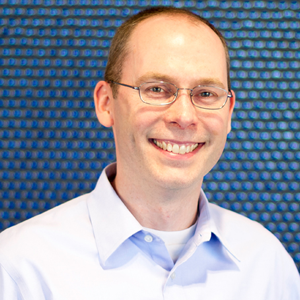 Erik Thoen is vice president of product management at 128 Technology. He is responsible for go-to-market strategies and key features of the 128T Networking Platform. He has previously held both business and technical roles at several networking startups. Erik has a Ph.D. in electrical engineering and computer science from MIT. 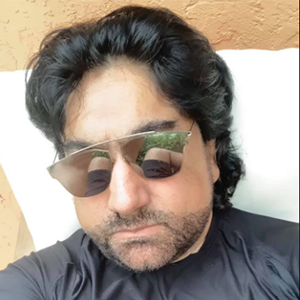 Karan Zaveri is a serial entrepreneur and currently leads 24/7 Software’s, Inc’s distributed global engineering team of 65 developers building scalable, reliable infrastructure for its SAAS platform. 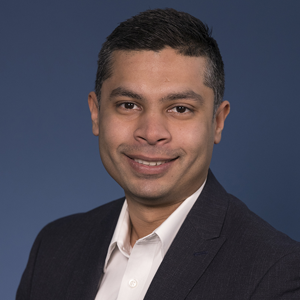 Karan is responsible for driving the delivery and development of 24/7 Software platform’s long-term technology vision, as well as driving innovation across the company as it’s Chief Technology Officer. Karan is also an equity holder and a partner in the 24/7 Software business.24/7 Software, Inc. is a leading and dominant player in safety and operations management solution for sporting venues and public facilities. Customers include 75% of the professional sports venues (NFL, NBA, NHL etc.) within the United States and around the world. The application has also been successfully deployed in several large events such as the Super Bowl, Kentucky Derby, Daytona 500, Boston Marathon, NBA finals and many more for the past several years. The company started in 2009 and over the past decade has grown to be a dominant provider for this industry earning a reputation boasting 350+ facilities around the world as its customers. In July of 2017 24/7 Software, Inc. was acquired by a private equity firm based out of Silicon Valley. Karan was brought in as a partner in the business in 2009 to lead and build the engineering team and he was instrumental in the acquisition of the company in July 2017. 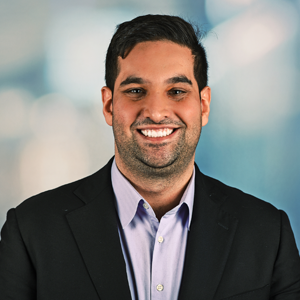 Karan continues to lead the R&D department post acquisition and is now a critical part of the leadership and the company’s board.An engineer and entrepreneur from an early age, Karan sold his first software at age 16. He has more than 12 years of experience in developing complex, scalable and distributed web applications. 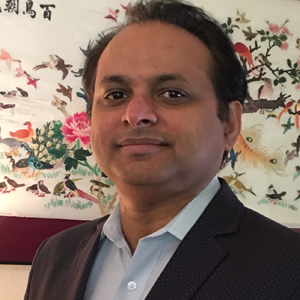 Prior to 24/7 Software, he was the founder of Computing Objectives, a Philadelphia- and India-based services company serving several Fortune 500 clients. Throughout his life as an engineer and entrepreneur, he has worn many hats and has vast knowledge in various facets of business including new business incubation, venture investing and building global, distributed engineering teams.Karan graduated with a BS, Computer Applications from Nagpur University, India. Karan’s insatiable curiosity sends him down a variety of Wikipedia and tech blog rabbit holes. When not CTO-ing, Karan enjoys exploring the myriad of cuisines available in his hometown of Miami, FL. » Data Privacy - What's Next after GDPR? As Vice President Global Enterprise and Channels, Sergio draws on more than two decades of telecom industry experience in his role directing Accedian’s enterprise and global channel strategy. 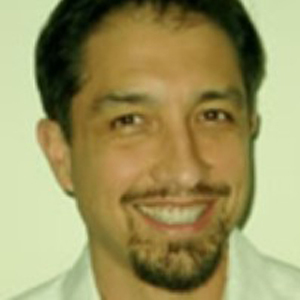 He has worked for Fortune 500 global corporations in key strategic roles throughout his career, with prior roles across various disciplines including sales, business development, strategy, consulting, and services.Before joining Accedian, Sergio led the development and implementation of Viavi Solutions’ channel strategy and managed the NPMD business. 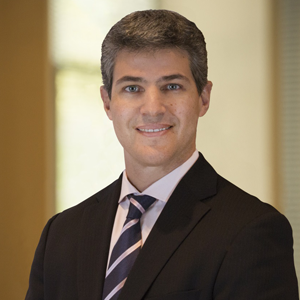 Previous leadership roles also include North America and Latin America channel program at Ciena, management positions at Nortel Networks, and Accenture consulting in Argentina.Sergio holds a bachelor’s degree in economics from Universidad de Belgrano, a master’s degree in economics from Instituto Torcuato Di Tella, and received the prestigious Channel Chief Award from CRN in 2016 and 2017. 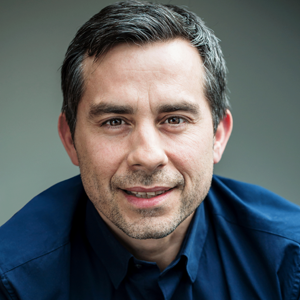 Rafael is the co-founder and Vice President of business development at the multi-award winning Acrobits, a major company that provides secure voice and data transmission services to some of the biggest telecommunications companies in the world. With over two decades of telecom and communications experience, he has worked with major companies in an effort to modernize existing networks, has experience working with 4G and 5G technologies, and understands how to keep your projects on point and on budget. He has actively managed the development of several major MVoiP apps, from initial concepts and prototypes all the way to end-to-end integration. 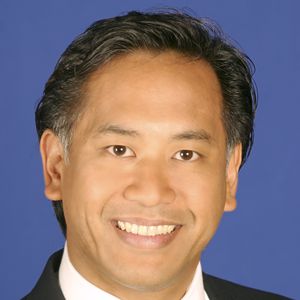 Through Acrobit’s SIP SDK technology, Rafael has generated hundreds of millions of dollars in revenue for his clients. His extensive technical and marketing experience, combined with his deep understanding of the communications landscape, has positioned him to provide essential services that are used by hundreds of millions of users daily.His companies have worked with over 700 carriers, mobile network operators, UCaaS and CPaaS players providing service to 500 enterprises globally and over 140 million endpoints. Mike Chase, AireSpring’s Senior VP of Solutions Engineering has deep expertise in advanced SD-WAN networking and related technologies. He has worked with many Fortune 500 firms including Wells Fargo, IBM and Experian. 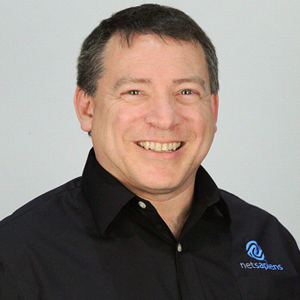 Mike brings over 25 years of experience designing complex datacenters worldwide. Mike, aka Dr. Cloud, has published many online articles, columns and blogs. He holds 30+ industry certifications including the prestigious Cisco Certified Internetwork Expert (CCIE# 7226), Linux LPIC2, VMware Certified Professional (VCP #26676) and a Juris Doctor degree. He previously co-founded and was CTO of several cloud ventures. » VARs, MSPs, ISPs Oh My! Mark Casey, Apcela’s Founder and CEO, is a progressive leader intensely focused on leveraging emerging technologies and his deep knowledge of the global telecom and IT markets to deliver top results for clients, associates and stakeholders.Mark’s experience and reputation is built on a successful track record of over 25 years in the communications industry delivering results for industry heavyweights including AT&T and Verizon. Mark joined railroad operator CSX in 2001 to lead CSX Fiber Networks supporting large carriers with complex network optimization. 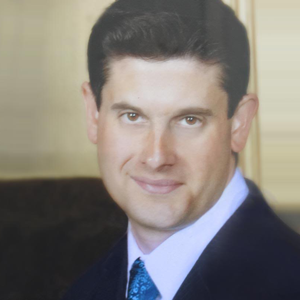 In 2005, Mark led the acquisition of FiberSource,® the core intellectual property among other assets of CSXFN, to form the nucleus of CFN Services.Now leading Apcela, widely recognized as one of the fastest growing technology firms in North America, Mark and his team specialize in developing high-performance solutions for globally distributed, real-time, mission-critical applications. 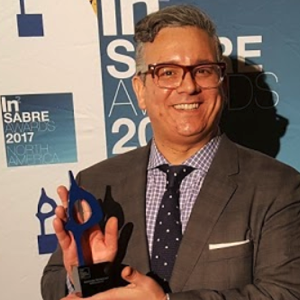 Under his leadership, Apcela pioneered the development of the Alpha Platform™, an award winning high-performance private cloud for global, low-latency electronic securities trading. 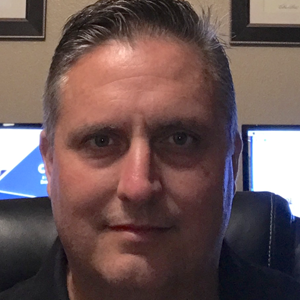 Mike Thompson is a Professional Systems Engineer with over 25 years of experience designing, implementing, and troubleshooting complex networks. 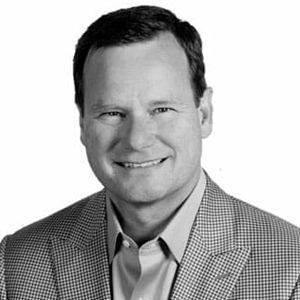 Over the course of his career, Mike has held several engineering, consulting, and executive leadership positions with technology leaders, including FORE Systems, Marconi Communications, Bay Networks, Alcatel-Lucent, and most recently Aruba, a Hewlett Packard Enterprise company. As a Consulting Systems Engineer, Mike provides technical leadership for the Systems Engineers in the Florida and Alabama region. In his current role, his responsibilities include business development, solutions architecture, field updates, driving feature development, and direct engineering engagements with existing and new customers. Mike served in the US Marine Corps for 10 years. He is a Desert Storm Veteran and attained the rank of Sergeant before exiting active duty. Mike volunteers his time with several organizations, including the US Naval Sea Cadet Corp’s Thomas Norris Battalion in Central Florida, where he acts as the Executive Office. The USNSCC is a congressionally-chartered, U.S. Navy-based organization that serves to teach individuals about the sea-going military services, U.S. naval operations and training, community service, citizenship, and an understanding of discipline and teamwork. Max Mancini is Executive Vice President of the Digital Worker Ecosystem at Automation Anywhere, where he leads the company’s efforts to build a thriving ecosystem of developers, bots and digital workers. He believes that the bot platform, and the ecosystem that supports it, enable innovation and opportunity for Automation Anywhere’s entire community of developers, channel partners and customers. Prior to joining Automation Anywhere, Max ran the $500 million Ecosystem business at Atlassian and retail eCommerce engineering at Apple. He also helped scale the developers program and mobile commerce business at eBay. While at eBay, he also launched their classifieds business, Kijiji, as the head of product and engineering and built their Disruptive Innovation team. He has been in various product, engineering and executive management roles in startups including Aha Mobile (acquired by Harman/Samsung), ConsumerReview, and PointCast. Max is a combat veteran and served as an intelligence officer in the U.S. Army and Army Reserves. Bana Qashu is director of channel sales for AVANT, a leader in channel sales enablement, where she directs channel sales policies, objectives, and initiatives in the northeast. Bana actively works with both suppliers and channel sales professionals to enable them to excel in next generation IT sales across cloud, colocation and communication services, including: UCaaS, IaaS, SD-WAN, DRaaS, BaaS, DaaS, etc. 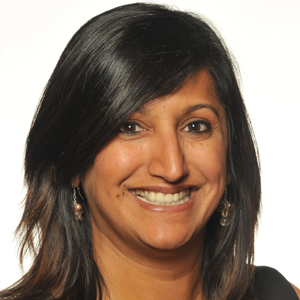 At AVANT Bana grew the NEMA (Northeast MidAtlantic) region in record time, enabling the channel to embrace new technologies while pulling through legacy technologies.Bana has received the 2018 Alliance of Channel Women ACT award and been recognized by CRN as an influential women of the channel in 2018. Bana has over a decade of channel sales experience across multiple technology and service provider companies, including Mitel and Birch Communications before joining AVANT. Bana brings a different energy and skill set to the channel sales community as well as a strategic way of selling to both partners and end users that is focused on their overall business. 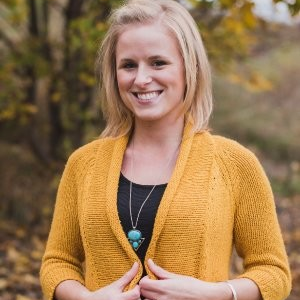 Her philosophy balances personal development with career, family and community. Qashu is a also registered yoga teacher within the Yoga Alliance. 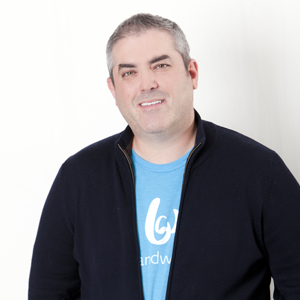 As VP, Strategic Alliances at Bandwidth, Brad Blanken is helping to set the direction for Bandwidth’s messaging offerings. He also manages relationships with key partners, Industry trade groups and Standards organizations. Throughout his career, Brad Blanken has been a driving force behind industry-shaping initiatives and business development efforts. He has led wireless industry inter-carrier efforts including creation of the US Common Shortcode program, wireless AMBER alerts, and a partnership with the American Red Cross which resulted in more than $40 million raised for Haiti earthquake relief efforts in less than 6 weeks, and changed the face of nonprofit fundraising strategy forever.He is a recognized thought leader in the digital and mobile marketing space, leveraging exceptional strengths in defining business development, product development, and partnership alliance strategies that strengthen revenue, profit and market presence in a fast-evolving, highly competitive industry.Prior to joining Bandwidth, Brad has served as the SVP, Industry Development, for the Competitive Carriers Association (CCA), COO of Mobile Accord, and Vice President of Carrier Business Development at Thumbplay, an innovative mobile music provider, which was acquired by Clear Channel. Earlier in his career he worked at Syniverse Technologies and the Cellular Telecommunications and Internet Association (CTIA). Brad began his career in technology as a Computer Specialist in the United States Marine Corps. » Are You Ready for the Messaging Revolution? Thorsten joined Barracuda a little over a year ago. His focus at Barracuda is to secure customer’s infrastructures and data on-prem as well as in the cloud. Prior to that, Thorsten was on the other side and worked in the Cruise industry. He worked as IT Manager onboard, built and designed IT for new Megaships (4000+ Passengers) and drydock refurbishments and ultimately lead the infrastructure as Enterprise Admin for a 5-star Luxury Cruiseline out of Miami. Andy has 30+ years’ experience in telecoms technology. He is the VP of Business Development and Co-founder for BEC Technologies. Andy served as the Vice Chairman and VP for the Small Cell Forum from 2009 to 2016. Andy’s experience includes: service provider, silicon, software, infrastructure, applications and network management. He held leadership positions in Marketing, Business Development and Product Management with several successful start-up companies including AuthenTec, INSIDE, WiDeFi and Tantivy. He started his career with industry leaders: QUALCOMM, Ericsson, Northern Telecom and GTE. Andy has an MBA from Duke, a BS in Electrical Engineering from Penn State and a BA in Mathematics from Saint Vincent College. He is a Senior Member of IEEE. Simon is a recognized leader in the IT industry for over 20 years. He is best known for developing innovative and award-winning security and search applications, including an innovative parallel processing search engine. He holds four patents for search technologies, one for parallel processing and an additional six patents pending for search and security databases. He is known for his simplified approaches to technology implementations and has been instrumental in leading national and global strategic initiatives. As the CEO of BOHH Labs, Simon is dedicated to changing how enterprises and users securely interact with their data, systems and applications. Greg Plum has been involved in various technology roles since 1999, and is currently the director of marketing for Brandywine Technology, a technical staffing boutique helping companies meet their growing demand for qualified resources.Greg has lobbied on Capitol Hill to support the IT industry, served as a CompTIA faculty member, and delivered a TEDx talk on cloud technology. In addition, he is a frequent contributing author to the Amazon best-selling The Better Business Book series.In his own words, Greg “strives to translate complex technologies that are changing at ‘the speed of cloud’ into understandable concepts and actionable items for those that can benefit most from these advances… the end user.” His current passion includes exploring the balance between artificial intelligence and human effectiveness.Greg is a frequent speaker at industry events, including Channel Partners and ITExpo. 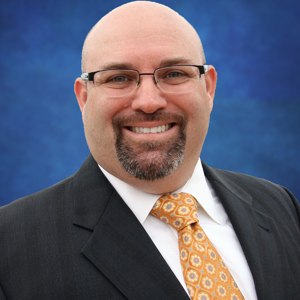 Ron Romanchik is the Chief Revenue Officer for CallCabinet. 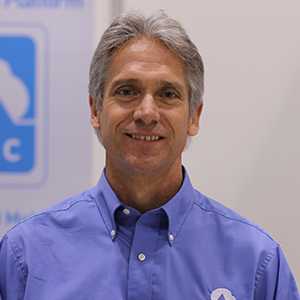 Ron joined CallCabinet in September 2018 after 18 years as Vice President of Recording Technologies for AudioCodes. 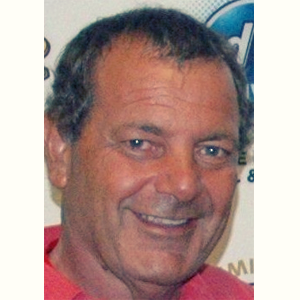 Ron has been an innovator and key contributor to the growth of the Call Recording Industry for over 20 years. A founder of Ai-Logix, Inc. which revolutionized the call recording industry, the SmartWORKS Recording Technology normalized standard passive recording interfaces such as PBX integration and PSTN recording into a single API. Rons business experience includes Strategic and Operational Planning, Sales, Business Development and Marketing. Technically, Ron has over 30 years’ experience in the Telecom Market including PBX Engineering, PSTN technology, VoIP, Contact Centers, Skype for Business and many other aspects of the Telecom Industry. Prior to joining Ai-Logix, Ron was Executive Vice President for Xtend Communications, and held other executive level positions with several telecommunications companies. His experience includes the development of strategic partnerships with major telecommunications companies. 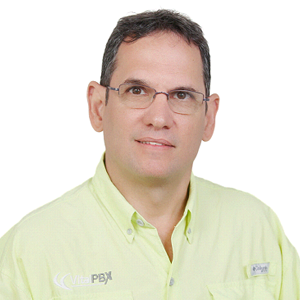 Alfredo has over 15 years of experience in the telecommunications/technology industry and is currently responsible for the Product Marketing Management and Strategy of Connectivity Services, including SD-WAN, Internet Services and Cloud Access in the US and Latin American markets at Claro Enterprise Solutions (CES), a subsidiary of América Móvil (NYSE: AMX) and telecommunication services provider with presence in 25 countries across North America, Latin America and Europe. He has held a wide variety of technical and commercial roles in American and European Fortune 500 companies including Network Planning, ITU Radiocommunications Research/Consulting, Sales, Business Analytics, Engineering Economics and Product/Project Management. Alfredo holds a BSc. in Electrical and Telecommunications Engineering from Universidad Mayor in Chile and a Master’s degree in Management Science from Florida International University. 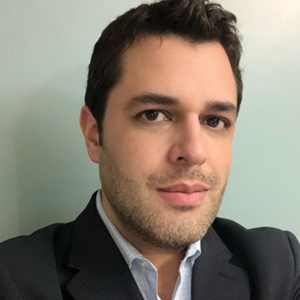 In addition, he has other post-graduate studies in Cognitive Neuroscience, Project Management, Technology Strategy and Marketing at University of Miami Business School, Stanford University and MIT Sloan School of Management. Eric has more than 25 years of experience in the Telecom industry. In addition to his experience in VoIP security at Greenfield Tech and fraud prevention at Humbug Telecom, he has worked for carriers MCI Communications (now part of Verizon) and Cellcom. 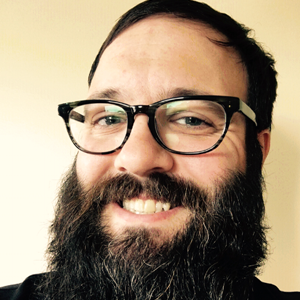 Eric co-authored RFC4864 - Local Network Protection for IPv6 and served as a grant reviewer for the US Department of Commerce Broadband Initiatives (BIP) Program and Broadband Technology Opportunities Program (BTOP). 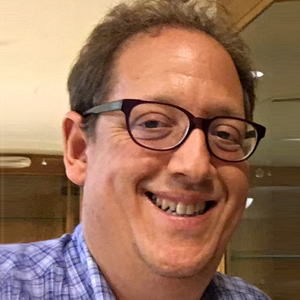 Eric has taught practical networking at a number of Universities and schools to both undergraduate and graduate students including: NYU Polytechnic School of Engineering, Tel-Aviv Jaffa Academic and Pace University. 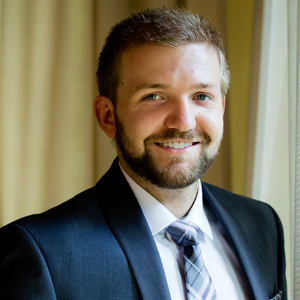 Sam DeCubellis has been with ConnectWise for four years and is the Manager, of Sales Engineering. As the key technical resource and product advisor to executives, partners and prospects, Sam plays an integral part in actively driving the technology evaluation state of the sales process. He is a University of Florida and Stetson University College of Law graduate. Jennifer Bleam is a veteran in the IT business arena, running the sales and marketing departments for a Washington, DC-based MSP for 7 years. 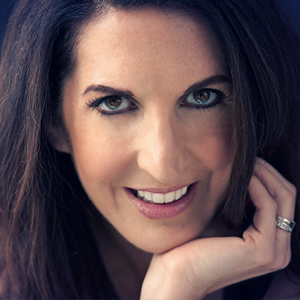 Jennifer is a best-selling author and has spoken at countless industry events across the globe for companies like Technology Marketing Toolkit and CARVIR. She currently works as a Senior Security Sales Specialist for Continuum, protecting IT companies and their clients from today’s cyber threats. 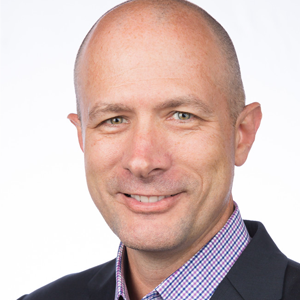 Jason Dorough joined Digi as VP of Sales via the acquisition of Accelerated Concepts Inc. in February 2018. His expertise lies in channel development for technical sales and positioning of hardware and software platforms for wireless and cellular data, Wi-Fi and wireline telecommunications, including custom OEM and embedded Linux. 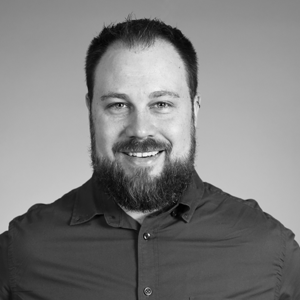 Jason joined Accelerated in 2013, and prior to that was with IVANS as a channel executive from 2007 to 2013 where he developed new sales channels to deliver integrated network services. 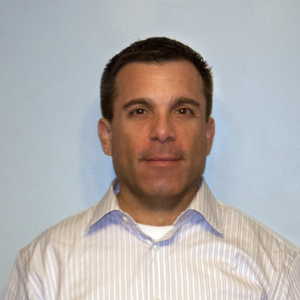 Additionally, Jason was a sales executive for AT&T from 1999 through 2007, managing the New England sales territory. Wayne was previously channel account manager at Digium. Before that he was regional business development director at IPS Learning. He’s also served as sales manager for Project Resource Solutions. He’s a graduate of DePaul University, the Keller Graduate Schhol of Management at DeVry University, and Northern Illinois University. Steve is a Channel Sales Engineer with a concentration on the Switchvox business phone system. He has been with Digium for 10 years and has over 20 years of telecommunication experience. He conducts product training and assists resellers with system designs and proof concepts. He has a BSEE from Christian Brothers University in Memphis, TN. 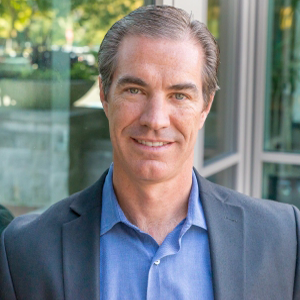 Guy Cunninghams career in the channel has been focused on building strong, sustainable businesses in partnership with solution providers servicing both enterprise and mid-market customers. His previous positions at Symantec, Veritas, and Sirius Computer Solutions have provided unique insight into both sides of the channel ecosystem - the vendor and the solution provider. This perspective has allowed Guy to build a flexible partner program focused on the unique needs of Resellers, Service Providers, and Sales Agents. At Netsurion, Guy is responsible for the companys fastest growing sales division, having helped grow channel sales by more than 500% over the last 12 months. The companys co-managed SIEM (EventTracker) and software defined branch orchestration (Connect SD-WAN) solutions are seeing consistent quarter-over-quarter growth in both the Reseller and Service Provider markets. Im very lucky to work for an organization that understands the channel and the tremendous value our partners bring to the table. Our continued investment in our channel sales team is a testament to how much we depend on the skills and the relationships our partners provide. Advanced Cybersecurity Solutions and Next-Gen Branch Orchestration Solutions are two very hot commodities. Netsurion is focused on the highly distributed Enterprise and SMB markets, and the IT providers that serve them. Our easy-to-deploy, easy-to-manage solutions are offered at a price point that allows our partners to provide high-impact solutions, while reducing sales cycles and maintaining healthy margins. » Cloud-Delivered Managed Security: Fad or Future? 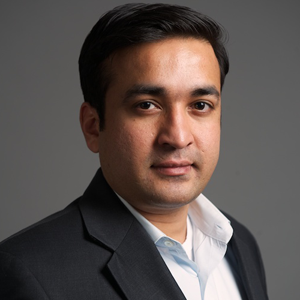 Raza founded Fiber Mountain™, and as CEO he leads day to day execution of the company’s vision of transforming network infrastructures everywhere. 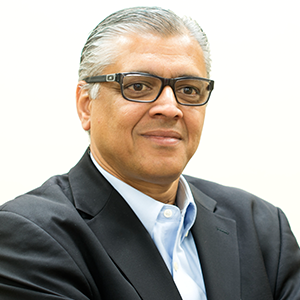 Previously Raza was VP/GM for ADC Telecommunications global enterprise business where he invented and executed the development of a cable intelligence technology; TE Connectivity acquired ADC. Prior to that he was Senior Director for 3Com’s IP Telephony division where he led the integration of telephony into IBM’s System-I environment; HP acquired 3Com. He was also VP/GM for Fujitsu BCS where he was responsible for IP Switches, Routers, ATM, SONET, and Telephony; and prior to that Director Product Management for General DataComm in the earliest ATM deployments for service provider in the US and globally. Raza has a BS in Electrical Engineering from the University of Oklahoma and holds several patents in the networking space. Sameer is Founder and CEO of FixStream, Inc. Prior to FixStream he served in a variety of senior management roles at Cisco Systems Inc. for twenty years. Most recently he was Senior Vice President of Worldwide Service Provider Line of Business at Cisco. He also chaired the company’s strategy board in this area. Earlier he worked as Vice President of Service Provider Marketing, and was responsible for marketing Cisco Systems® products, services, and solutions to a worldwide base of service provider customers. At different points he was responsible for enterprise and service provider sales in different theaters including Vice President of Sales in the Cisco Europe, Middle East, and Africa (EMEA), Japan and AsiaPac region. 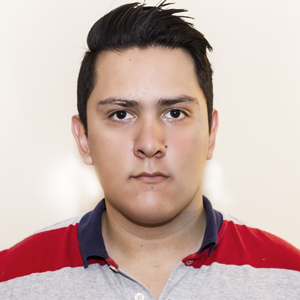 Currently he is based in Cupertino, California, where he is responsible for FixStream Inc.’s global operations. Sameer is an avid badminton player and early in his career worked as a commercial airline pilot. Mr. Cotrel is a co-founder of FMC GlobalSat, and is responsible for overseeing the company’s strategy, innovation, and go-to-market activities. Prior to launching FMC GlobalSat, he founded BlueNRGY LLC, a leading independent software company that provides data acquisition, control systems and big data analytics for solar power plants. From 2009 to 2013, he was a co-founder and principal of the investment fund, L14 FCP SIF, which targeted investments in wind and solar power generation systems across Europe. Mr. Cotrel was also co-founder of SeaMobile, Inc. (USA) in 2004, which has evolved into an industry leader in global maritime telecommunications. He is an active member of the US-based Cotrel Spinal Research Foundation and the France-based Yves Cotrel Foundation affiliated with the Institut de France. Mr. Cotrel graduated from IMIP MBA Institute (INSEEC business school) in Paris, France. Steve Smith is the founder and CEO of Fonative, Inc., a provider of secure, scalable enterprise-grade CPaaS solutions. Fonative’s CPaaS API offers a rich set of sophisticated features and stringent security to meet the needs of the contact center industry.Previously, Steve was CTO of Lavalife, where he architected and managed a hosted VoIP IVR product for 600,000 paying subscribers generating 50 million MOU/month. Steve also serves as a Managing Director for Boston investment bank Dunn Rush & Co, where he advises on transactions of privately-held mid-market technology companies. » Next Gen Collaboration Tools - What Makes Great Companies Successful? Arshad Khan is manager of solution architecture and software integration at Fujitsu Network Communications, Inc. His team is responsible for new service introductions, operationalizing new services, pre-sale support initiatives and working with customers to design custom software solutions.During his 19 year tenure at Fujitsu, Arshad has held several positions in product planning working with EMS, NFV, NMS, SDN controllers, MANO, SD-WAN and XaaS. He has more than 25 years of experience developing and supporting network optimization software and products. Arshad received his degree in computer science from the University of North Texas. 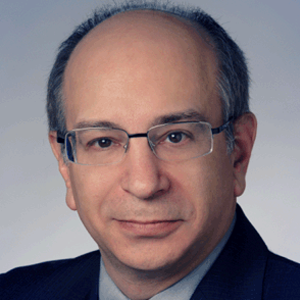 Ralph Santitoro is head of the SDN/NFV/SD-WAN services practice at Fujitsu Network Communications, Inc. The practice assesses, designs, integrates, and manages multivendor virtualized solutions using SDN, NFV and SD-WAN technologies to create agile, on-demand virtual network services to facilitate the enterprise digital transformation. Most recently, Ralph and his team developed Fujitsu’s SD-WAN-as-a-Service, an OTT subscription-based SD-WAN managed service.Prior to Fujitsu, Ralph developed B2B and B2C technology products and services at Nortel Networks, IBM and four technology startups – three of which he co-founded. 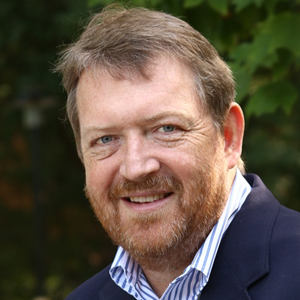 He has published over 30 papers and regularly lectures at industry events covering SD-WAN, Virtual Network Services, NaaS, XaaS, MANO, NFV, SDN, Carrier/Metro Ethernet, Network Virtualization, and Cybersecurity.Ralph is also a founding member, distinguished fellow and director at MEF Forum. He authored MEF’s “Understanding SD-WAN Managed Services” paper and provided significant contributions to the industry’s first SD-WAN Service Definition standard being developed at MEF. Elizabeth Weddle is the Director of Marketing for GoZone WiFi, a software company that offers marketing, analytics, and advertising platforms that transform guest WiFi networks into additional revenue streams for businesses. Inspired by beautiful branding, innovative technology and meaningful relationships, Elizabeth actively drives successful partnerships and awareness around GoZone’s products suite. Elizabeth is a strategic planner with a hands-on experience successfully introducing new products to emerging markets with a creative and tactical approach. Mark Palmer is Senior Director of Relationship Development at Granite Telecommunications. Mark currently works with the Granite Channels team promoting non-POTS service to partners nationwide. Mark previously worked at Bell Atlantic (now Verizon) in 1995 - 1996 as a service splice technician upgrading phone services at older facilities. In 1999, Mark moved his career to direct sales, working for Network Plus. By 2001, Mark was helped launch a new Network Plus office in Philadelphia, PA. Mark joined the Granite Telecommunications team shortly after its founding in 2002, selling analog phone lines. In 2011, he was asked to help start the data team at Granite to sell non-POTS service to our customer base. In 2015 Mark was named one of the first directors in the Relationship Development team, which was more proactive in understanding customer goals and ensuring that we were helping to meet them. In 2017, Mark hit his 15th year with Granite Telecommunications. Mark currently works with the Granite Channels team continuing to work and develop programs introducing current clients and agents to next generation products Granite delivers today. Mark lives in Rhode Island with his wife and three children. 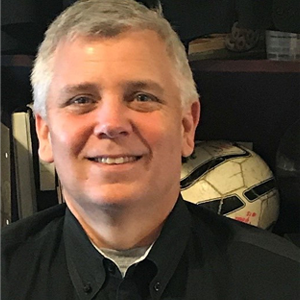 He is currently the Vice President of the non-profit, Burrillville Junior Hockey League and very much enjoys coaching his children’s’ hockey teams. Nick is an seasoned Enterprise Architect who has, for over 17 years, been building complex enterprise-class network solutions for large organizations with distributed locations and workforces. He is a passionate technologist with a progressive vision for developing solutions with the customer and end-user objectives in mind. Throughout his career, he has held a variety of roles, including engineering management, product line management, marketing and business development. 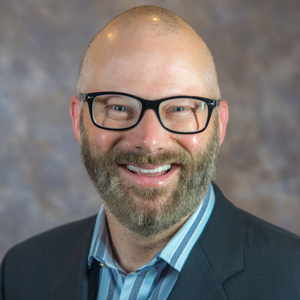 In his current role at Hughes, he is the Chief Architect for the Enterprise Solutions division focusing on emerging technologies in Cloud, SDN, SD-WAN, Application Assurance, NFV, WAN Optimization and network security. Nick also leads the product and service development for the HughesON™ Managed SD-WAN solution. Jeff Bradbury has over 20 years’ experience designing and delivering enterprise technology solutions on both the IT and product management functions, and has led a variety of technology companies through successful high-growth phases. 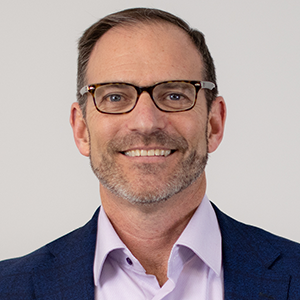 Jeff is currently Senior Marketing Director at Hughes, a leading provider of fully managed SD-WAN and digital media services dedicated to transforming distributed organizations into better-connected, customer-focused enterprises. In this role, Jeff works across markets to understand customer needs, technology adoption trends, and the direction of digital transformation to ensure Hughes is already blazing a trail to where customers need to be. oJosh is the Co-Founder and CEO of San Francisco-based Hugo. 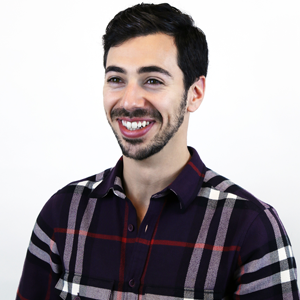 A product manager by background, his experience originates from his home in Sydney, Australia and in San Francisco with Westfield Retail Solutions. More recently, Josh started Hugo on a mission to make conversations accessible, starting with meeting notes as a launchpad for creating open, aligned teams. He therefore spends far too much time understanding the dynamics of meetings and modern teams and has interesting perspectives on what the future of work may entail in new age companies. Mark brings over 25 years of enterprise software, cloud, technology, operating, corporate/business development and partner experience. He has built valuable businesses in the US and globally in several C-level roles. He was co-founder of eMeter (acquired by Siemens) and held leadership roles at MetricStream, RiverMeadow, Serious, Intematix and Law.com. Early work goes back to Xebec, including original SCSI and hard drive controllers. His cardinal bearings are driving strategic insight through execution, ruthless operational prioritization, smart business model design, and deal-making expertise. In startups and late stage companies he’s driven major deals with Fortune 500 and Global 1000 companies in the Americas, EMEA and APAC. 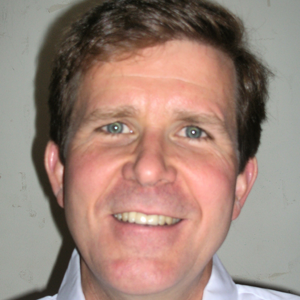 Mark thrives on technology, is a named inventor on issued patents in the P2P secure communications space, and is a tenacious advocate of utility compute scale. Mark earned a Master’s in Business from Stanford University’s Graduate School of Business, a Juris Doctorate from the University of California, Hastings College of the Law, and a Bachelor’s degree in Computer Science from University of the Pacific. 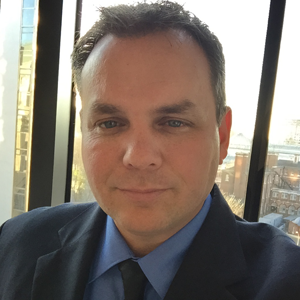 Westley McDuffie has over 20 years experience in Military-oriented analysis, network infrastructure and information security, mixed in with 10 years of classroom led instruction. Westleys dedication to educating customers in the art of information security has earned numerous accolades in the security industry. He now is associated with the IBM Federal Sales Team as their Chief Security Evangelist, supporting the DOD and Intelligence Communities. 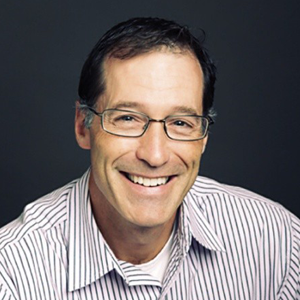 Jeff Kalberg is a Technology Evangelist at IGEL with over 30 years of industry experience. As an IT consultant for most of his career, Jeff has advised organizations of all sizes on a variety of technologies. Over the years, he has counseled some of the world’s largest and most respected companies. 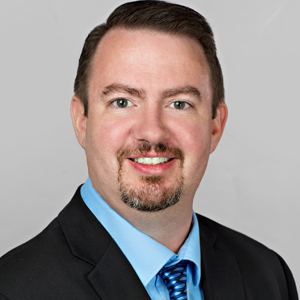 Working within all levels of an organization from marketing and sales to operations and finance to information technology, Jeff has developed a unique perspective that he leverages to the benefit of his client customers today. Jeff holds a Bachelor’s Degree in Accounting from Wittenberg University in Springfield, Ohio. 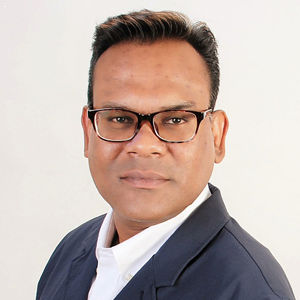 DV Dronamraju is the Managing Director of InfoSecEnforcer.com, which prevents data breaches and secures intellectual property including source code, and digital assets.. He is an entrepreneur with experience in security and networking. He is also the co-founder and VP Product Management at Whitney Networks, a cloud platform for managed services targeting the SMB markets. He is the founder of Pivot-It Inc., a company that helps with marketing, and sales of networking and security products. Prior to Pivot-It, DV led strategy, and business development at Intoto Inc., a provider of networking and security software to OEMs, where he executed over 200 OEM agreements. He sold Intoto to Freescale semiconductor and led software business development for networking and security markets. DV lives with his wife and daughter in Silicon Valley, and loves to cook, golf, and write software. 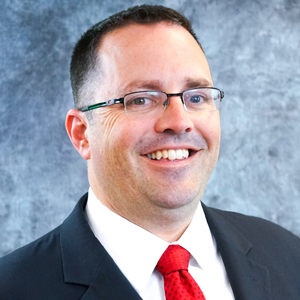 Johnson has 15 years of senior management experience with Sanders Associates, Telco Systems, and Lockheed Martin. Most recently he served as chief executive officer of Abrena, Inc, a business development consulting firm focused on assisting European and North American firms to expand in the United States. Prior to that, he was president and chief executive officer of Transcept Inc, a telecommunications infrastructure company. Johnson is a member of the Board of Directors for the SIP Forum, an industry organization with members from the leading SIP technology companies. 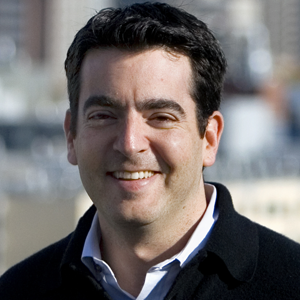 He holds a Bachelor of Arts in Economics and a Master’s in Business Administration from Boston University. Holder of a Masters Degree in Computer Science, PhD in Applied Mathematics, Cisco Certificates and a solid experience in Networking and Telecom. I account more than 10 years of experience, primarily in the roles of network engineer and IT management.I have had the chance to perform with success in many major projects, which have enabled me to maintain at the forefront of technologies and methods of management. In the vast majority of cases, these projects were completed in accordance with the budgets and the initial timetables.Being well aware that each member of the team contributes to the success of the company, I privileged a participatory approach. Develop a clear vision and objectives, communicate them adequately, arouse the team work, develop the confidence, constitute an extremely important part of my work. Many references, provided on request can testify. 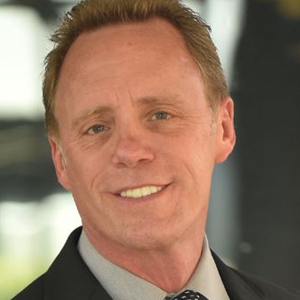 With more than 25 years of telecom experience that covers sales, business development, engineering and operations management in both the carrier wholesale and enterprise retail space Michael has a unique perspective on many aspects of the telecommunications industry. From traditional telecommunications services to VoIP telephony products, messaging, emergency services, API and platform service creation services along with infrastructure and operations, Michael has an extensive commercial understanding of the industry as well.In his current role Michael is responsible for leading the Communication Service Provider market segment at Inteliquent developing and maintaining strategic relationships. 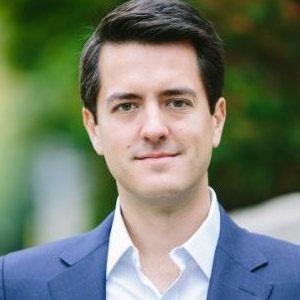 He is also responsible for effectively communicating and selling advanced value propositions to include Inteliquent ’s current range products as well as potential future service offerings. Ed joined IR in 2011 is responsible for leading the Service Provider practice and managing strategic relationships with several Service Provider partners. Ed has over 18 years of experience in the cloud, managed services and telecommunications market, with specific focus on the Service Assurance and Analytics/Data Science technology domains. 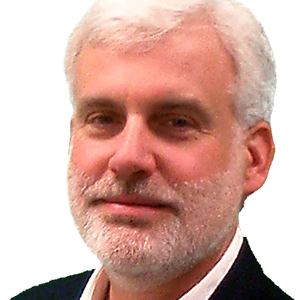 Tim Last is Vice President and General Manager, IOT Line of Business at Iridium Communications Inc. He is responsible for new business development including Satellite Internet of Things (IOT), Machine to Machine (M2M) & Data Services. He is responsible for IOT Product Management & Business Development activity at Iridium to markets including transportation, heavy equipment OEMs, oil & gas, asset tracking & management, and personnel tracking. IOT is Iridium’s fastest growing line of business, and represents over 60% of its customer base.Tim is an executive with over 25 years of experience in sales, market and business development for M2M, networking solutions, communications & IT services and outsourced solutions in the enterprise, government and wholesale sectors. He has had an instrumental role in leading sales teams, consulting and developing business opportunities with wire-line, wireless and international telecommunications companies. Prior to Iridium Mr Last held positions with Orbcomm , BT Global Services USA, BT Wholesale UK, BT Government. 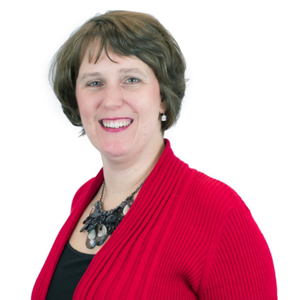 Sr. Director of Marketing, Jenne, Inc.
Susan Elder joined Jenne, Inc., a value-added distributor of technology products and solutions focusing on unified communications and collaboration, data networking, video conferencing, physical security, the Internet of Things (IoT) and the Cloud, in 2012 after 20+ years of experience in marketing and corporate communications positions for leading companies and organizations. At Jenne, Inc., Elder leads the company’s marketing function which provides marketing programs and services to the 180 technology manufacturers for which Jenne distributes products, as well as to its customers who are value-added resellers. Under her leadership, the company developed and launched Jenne Marketing Pro, a consultative marketing approach providing the company’s customers with marketing campaigns and consultation designed to help build their pipeline.Prior to joining Jenne, Elder served as the Chief Marketing Officer for the American Red Cross of Greater Cleveland where she drove major marketing and communications initiatives that enhanced the organization’s visibility and reputation in the region resulting in increased revenue and support. She was responsible for the delivery of the Red Cross’ health and safety services programs across the region, including sales, customer service, logistics and certified instructors. Prior to the Red Cross, Elder spent 10 years with Invacare Corporation, a publicly-held International Fortune 500 company that manufactures and distributes medical products. She was responsible for building Invacare’s corporate marketing function, including advertising, brand reputation management, co-op programs, graphic design, merchandising, public relations, trade shows and special events, and the website. 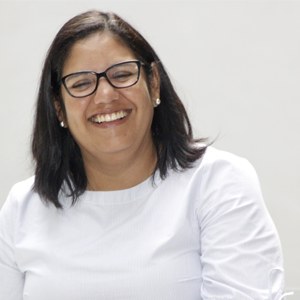 She also served as the company’s chief spokesperson during her entire tenure.Elder’s expertise extends to branding, media relations, inbound marketing, inbound sales, investor relations, market research and social media. She has received numerous marketing and communications awards, including the SoMe Impact Award at the Midwest Social Media Summit for the social media program she developed for Jenne, as well as the Distinguished Marketing and Sales Award from the Sales and Marketing Executives of Cleveland. She has been named numerous times to the Women of the Channel list published by The Channel Company’s CRN publication, including most recently for 2018. She has served on CompTIA’s Distributor Advisory Council and currently serves on the board of directors of Big Brothers Big Sisters of Lorain County. 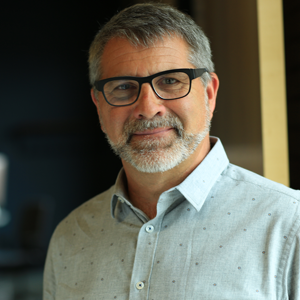 Chase’s industry experience expands the last 31 years which includes his current position of 5 years with Jive Communications – now Logmein, Inc. as the Director of Channel Mgmt. and previously with Panasonic North America as the UCAAS National Sales Manager. His experience also includes positions at Comdial Corporation (now Vertical), and Co-ownership of BCI Communications (MSP/Interconnect in the state of Florida)LogMeIn - Jive Communications is a $1.1B Publicly held Global SAAS Provider and boasts an International footprint promoting their services in over 20 countries.Chase is a frequent public speaker of industry, technology, and trends at various industry events and functions. 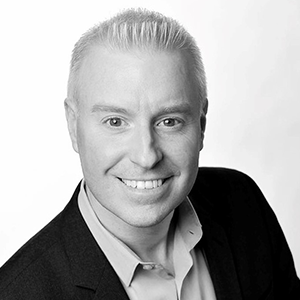 Derek South is SVP Sales for KodaCloud and member of the executive Leadership team. 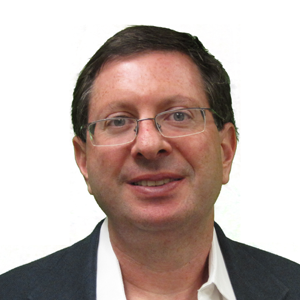 Derek has over 35 years’ experience in high tech sales primarily with early stage startups. For the past ten years he has been focused in the WiFi arena including Ruckus Wireless, BelAir Networks which was acquired by Ericsson, and now KodaCloud where he leads the Sales team. Earlier in Mr. South’s career he was part of Ready System an innovator in real time software where he built out a global sales team and channel. Derek began his career in the trenches as a field application engineer at Motorola and then later entered Sales working for Intel. He holds a BSEE from the University of Virginia. The years I have spent in the Technology space specifically around network, collaboration, and telecom have allowed me to not only work but learn and develop as new technologies are developing. This unique knowledge of both the hands on technical components and the business aspects of the technologies allows me to help those around me making decisions for where they should be looking. After working with solutions such as Acme Packet, Broadsoft, Cisco, and others, Fred discovered Asterisk and quickly embraced open source software in telecommunication. A large (yes, it’s a fat joke) proponent of Asterisk and Kamailio, Fred currently provides Kamailio / VoIP consultation services through LOD.com and The Palner Group, Inc. In 2010, Fred and his wife opened a bakery in Florida. When not working on SIP, hes baking bread. 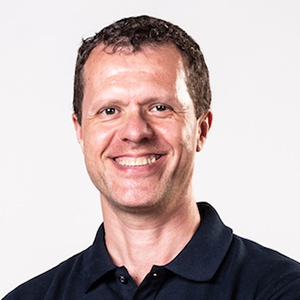 Lorenzo Miniero is the chairman and co-founder of Meetecho, a company providing consulting services on everything related to real-time multimedia, while also regularly providing streaming and remote participation services for well known events around the world (e.g., IETF and ACM). 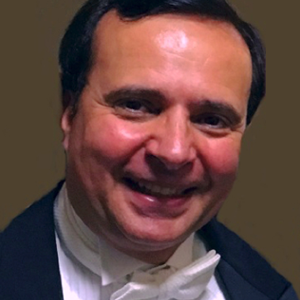 Lorenzo received his degree and Ph.D. at the Computer Science Department of the University of Napoli Federico II, where he started working on multimedia conferencing and met the colleagues with whom he co-founded Meetecho as an academic spin-off. He is an active contributor to the Internet Engineering Task Force (IETF) standardization activities, especially in the framework of real-time multimedia applications. He is most known as the author of the Janus WebRTC Server, an open source and widely used WebRTC server-side implementation. 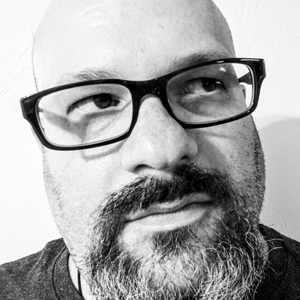 With a 20 year plus career in technology solution design, selling, sales engineering, and management, Chris focuses on providing the best technology solutions available and those aligned with the critical issues and initiatives of the business. His experience working and consulting with hundreds of organizations has provided him the knowledge and the acumen to make an impactful connection between technology and the business challenges and goals. His areas of expertise include SD-WAN, MPLS, UCaaS, Security, and telephony, amongst others. 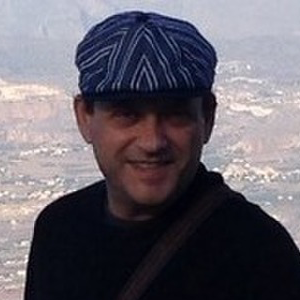 Bernard Aboba is Co-Chair of the W3C WEBRTC WG, and an editor of the WebRTC and ORTC specifications. He is author of 60+ IETF RFCs, and previously served as Chair of the Internet Architecture Board. Angela Leavitt is the founder of Mojo Marketing, a full-service marketing agency that has served more than 150 tech companies. With 15 years of experience in sales and marketing, Leavitt creates targeted and effective marketing strategies for companies of all sizes in telecom, IT, and cloud. She has been a regular presenter at ITExpo, COMPTEL, Channel Partners, and Cloud Partners conferences, as well as numerous corporate meetings and events. She is a champion for small business, and a consistent supporter of women in business and technology through organizing and participating in Women in the Channel industry events. Leavitt was a top three finalist for the Tempe Chamber’s Business Woman of the Year Award in 2009, and was named to the San Diego Business Journals Most Admired CEO list in 2016 and 2017. As President of net2phone, Jonah Fink is focused on the vision to disrupt technology and change the way the world communicates. As a member of the original sales team at the inception of net2phone, Jonah Fink was eager to learn the business and offer his business savvy mindset in making it succeed. He quickly learned how to do so and climbed the ranks to run the entire organization as President. Jonah helped drive and execute many of the company’s investment areas and strategy shifts and has been instrumental in helping build the industry’s most powerful partner program. Jonah brings a unique level of enthusiasm and provides a personal touch to each and every customer that is hard to find in any other top level executive. 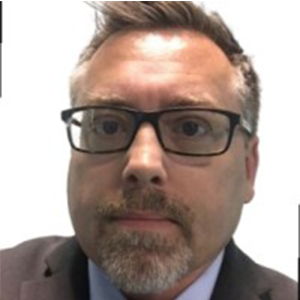 Jason Byrne brings more than 20+ years of telecom product experience to netsapiens a leading UCaaS platform for Service Providers, where he leads the product & marketing teams. 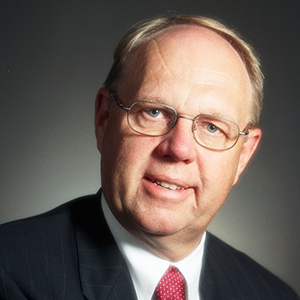 Previously, he held various product leadership positions spanning wireline & wireless solutions at Greenlee Communications (acquired by Emerson) & JDSU (Viavi). Jason has an MBA from University of San Diego, and has a BSEE from Trinity College, Dublin. 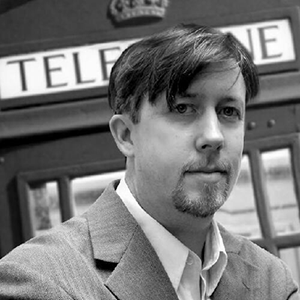 Dave brings over two decades of leadership and enterprise management experience to netsapiens. Client acquisition and mutually beneficial relationships, as well as values-based leadership and team development have been a consistent factor in all of Dave’s professional endeavors. Dave has founded several successful companies, all of which enjoyed significant growth and success with him at the helm. For much of the new millennium, Dave managed the family ILEC, Ironton Telephone, and its CLEC, Service Electric Telephone. Under Dave’s leadership, the ILEC and CLEC quickly evolved from being a small rural telco to one of the fastest growing privately owned telecommunications companies in Pennsylvania. In 2010, seeing the evolution of land based telecom and the shift from premise to cloud services, Dave, as Chairman of the Board, founded Ironton Global, an ITSP, to offer next generation SIP and Hosted IP-PBX services. At the same time, Dave also founded Telzy, a business based on the deployment of a multi-lingual mobile app for iOS and Android, designed to deliver affordable international calling to over 180 countries around the world. Then in 2011, seeing a need to redefine and improve the sales consultative process for Enterprise and SMB Cloud Communications and Computing, Dave, as CEO, co-founded GreenStar Solutions, creating a business that was geared for the next evolution in Cloud and the continual improvement in the client experience. Today, Dave proudly serves the netsapiens leadership and staff in fostering an energetic and collaborative culture, designed to create purpose for all within the company and an open ecosystem for our clients, thus enhancing the customer experience and increasing the netsapiens value proposition. Outside of work, Dave serves on several telecommunications advisory boards. He also enjoys teaching Jujutsu and Aikido, sailing, scuba diving, freediving, the Lower Florida Keys and traveling with his girlfriend Michelle and their three children Corey, Megan and Tyler. 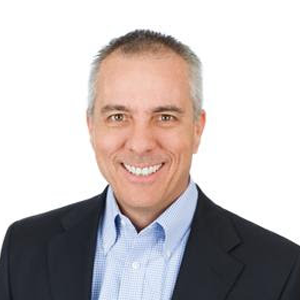 Terry Melnik is the director of NetSuite’s Professional Services Automation (PSA) solutions, Services Resource Planning (SRP) and OpenAir. He joined NetSuite in 2014 to drive awareness and adoption of NetSuite’s solution globally. 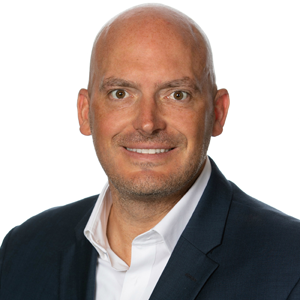 With over 15 years of experience, Melnik has been in the software industry in executive leadership roles in professional services, product management and business strategy, as well as with several highly respected management consulting firms. He holds an MBA from Boston College. » Sooo... What's Next for SD-WAN? Michele is an experienced contact center leader serving on executive teams in the healthcare and health and beauty industries. She has over 10 years of contact center experience including leading cross functional teams of operation managers, implementation and project management teams as well as support work groups. She is fully versed in all aspects of running a successful and profitable organization including process streamlining and customer experience enhancement through technology development and deployment. Michele serves as a member of Noble System’s Advisory Panel and participates in various conferences as a thought leader, panelist and speaker. 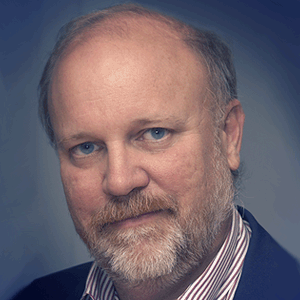 Mike Spanbauer is a recognized leader in security and infrastructure technologies. He leads the analyst team in creating research that combines years of testing experience with quantitative analysis of the world’s leading security companies, products, and markets. In addition to running the companys research organization, he also advises clients on how best to address today’s cybersecurity threats. 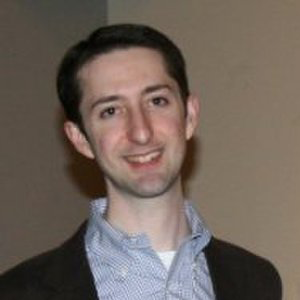 Prior to joining NSS, Mike was Service Director at Current Analysis, managing the Business Technology and Software group which monitored, analyzed, and advised on application platforms, collaboration platforms, data center technology, enterprise mobility technology, enterprise networking, enterprise security, and unified communications and contact centers. 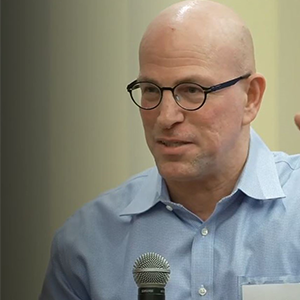 Previously, he spent nearly 15 years at Hewlett-Packard where he established and managed competitive intelligence programs in networking hardware and network management software. 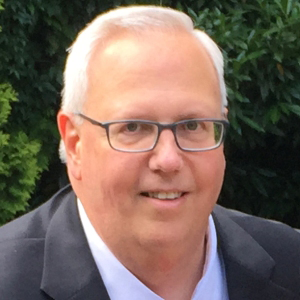 Mike is well respected within the enterprise and carrier communities for his comprehensive insights into the domains and management of cybersecurity, cloud, networking, and software-defined networking. He has been quoted as a subject matter expert on a number of security related topics in both mainstream and industry publications including CSO, Dark Reading, InfoSecurity Magazine, Reuters, TechTarget and ZDNet. He has also spoken at many global industry events as a subject matter expert and as a Track Chair. 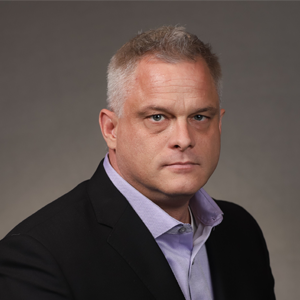 Dan Hoban serves as the executive vice president and chief strategy officer (CSO) at Nuspire, a state-of-the-science Managed Network Security Services Provider (MSSP) for some of the largest and most distinctive companies around the world. Hoban is a cybersecurity analysist dedicated to security industry research, innovation, education, and advocacy.Over the past 13 years at Nuspire, Hoban has helped some of the worlds largest enterprises design and implement cutting edge security solutions. Some of these notable customers include General Motors, Cardinal Health, Subaru of America, Volkswagen, Steelcase, Ford Motor Company, Kelly Services, ADP, Tower International, and Dunhams Sporting Goods. Hoban has authored and contributed to many organization/industry standards and has been featured in industry-related blogs and articles. He has also been a guest speaker at numerous national industry events. Additionally, Hoban is the President of the Twilight Benefit Foundation, a charitable organization that helps metro-Detroit children with catastrophic illnesses or disabilities. 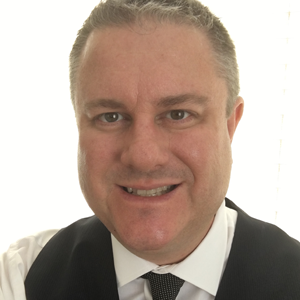 Dave Martin brings to Open Systems more than 20 years of experience with IT security and networking technologies in a variety of engineering, product marketing, product management and business development roles. He currently serves as the Senior Director, Product Management - Threat Response and is responsible for market positioning, product strategy and feature definition for Open Systems’ global managed detection and response services. 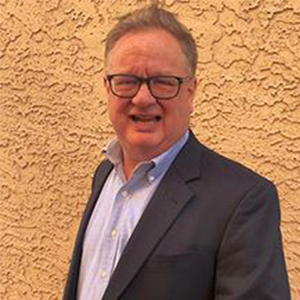 Prior to joining Open Systems, Mr. Martin has held executive and technical positions at companies including Arctic Wolf, NSFOCUS, Edgewater Networks, Nokia, Ipsilon Networks and Newbridge Networks. Mr. Martin is a US Patent holder, a recognized security and networking expert and regular speaker at trade shows, partner conferences, insight panels, webinars and other industry events. 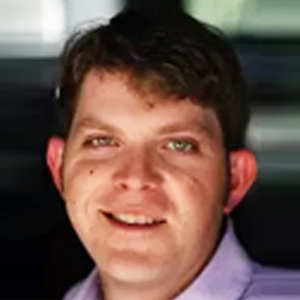 Ryan Walsh oversees the buildout of the Pax8 product portfolio and drives the market requirements and development of the Pax8 Command Console.Ryan served as vice president of product management for MX Logic, a cloud-based email and web security company that was acquired by McAfee in 2009. Following the acquisition, Ryan directed the product teams responsible for McAfees portfolio of cloud-based email and web solutions for the Content and Cloud Security division, and later led the product unification and hybrid cloud development effort for the companys web security product lines.Ryan has dedicated his career to enabling business improvements with Internet or IT-based solutions and startups. 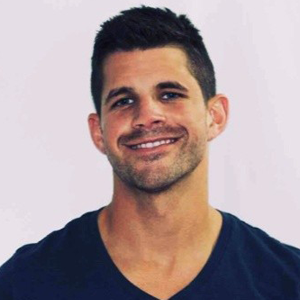 He started his career building a reengineering practice at Deloitte & Touche in the Consulting division.Ryan holds a BA in Business Economics from Colorado College and an MBA from the Harvard Business School. Alon is an entrepreneur, inventor and is widely recognized as one of the creators of the Voice over IP industry. He joins Phone.com after founding and managing a successful series of recent business ventures, including BitWine and RemoteAbility. 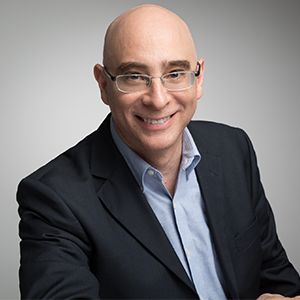 Alon was the co-founder of VocalTec Communications (NASDAQ:VOCL), the first company to provide Internet voice technology worldwide, which in 1996 was one of the earliest successful Internet IPOs. Mr. Maloff is a globally recognized expert and author on Internet, its uses for business purposes, and the convergence with traditional telephony. 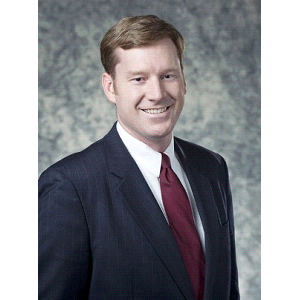 He currently serves as Senior Vice President – Strategic Alliances and Partnerships for Phone.com (www.phone.com), and has responsibility for the Channel Partner Program, Inside Sales organization, large scale business development, and assistance with network-related strategies and tactics. 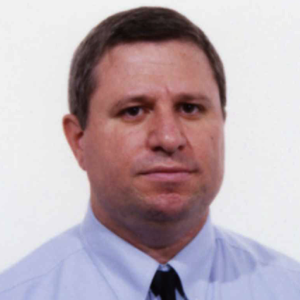 In addition, Mr. Maloff has been an Adjunct Professor at Colorado Technical University for more than four years, and has taught introductory classes, information technology (such as Disaster Recovery and Network Design and Implementation), Introduction to Marketing, and created a course on Digital Marketing. With forty years of experience, he has served as Senior Vice President of Sales and Marketing for one of the first SIP trunking service providers, Chief Technology Officer (CTO) for an international VoIP carrier, the CTO of a network security authentication device manufacturer, General Manager of a broadband wireless Internet provider, Chief Operating Officer (COO) for an Internet professional services company, and as Executive Director of the Big Ten universities research network (CICNet). Mr. Maloff has written several books, spoken at industry conferences worldwide, written numerous articles, and was a regular columnist for VON Magazine (now defunct). As a consultant, he provided services to the most senior people at Nationwide Insurance, MetLife, Borders Books and Music, Discovery Channel, The Toro Company, Worldcom, Sprint, Frontier Telecom, Siemens, Telenor (Norway), France Telecom, and many others.Among his more notable accomplishments, Mr. Maloff acted as a consultant to then Senator Al Gore in the drafting of the High Performance Computing Act which went on to become the basis of the commercial Internet as we know it today. He was further involved in the commercialization of the Internet as part of Advanced Network & Services which managed the backbone for the National Science Foundation Network (NSFNet) in the late 1980’s/early 1990s. 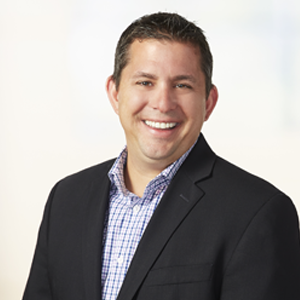 Glenn Richards leads Pillsbury’s Communications practice. Based in Washington, DC, he is a recognized authority on IP communications regulations and telecommunications policies and issues. Glenn represents VoIP and cloud communications service providers; satellite, wireless, long-distance and competitive local exchange carriers; broadcasters; equipment manufacturers; trade associations and others in transactional matters and before the FCC and state public utilities commissions. A partner in the firm’s Global Sourcing practice, Glenn also negotiates global telecommunications service contracts for large corporations. He also helps investors in communications companies manage regulatory risks associated with mergers, acquisitions, IPOs and financings. 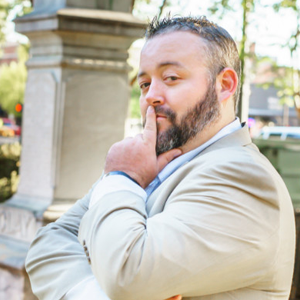 Chris is an experienced sales and B2B marketing leader from the IT channel industry. Chris moved to Tampa, Florida, from Charlotte, North Carolina, to join Tech Data Corporation within their marketing department. Chris developed the channel marketing strategies for top IT manufacturers such as IBM, Dell, Sony, and Apple. After two years in this role, Chris oversaw and led a strategic initiative for the organization which involved expanding the capabilities and overall marketing reach for the company. Chris managed a team of 40+ individuals that included strategy, business development, project management, and call center functions. 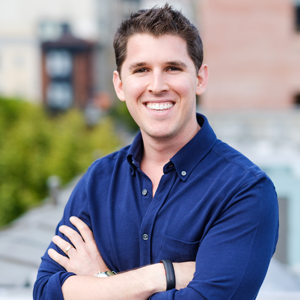 Chris left the company in late 2015 and founded Presh Marketing Solutions. Presh Marketing Solutions is a marketing organization that develops and implements integrated marketing campaigns and strategies for IT channel partners. 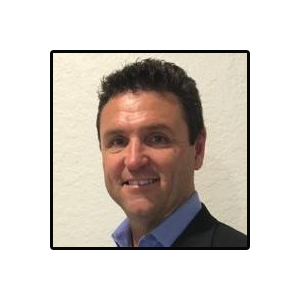 Frank Cittadino is the Chief Executive Officer of QOS Networks, the leading SD-WAN Managed Services Provider. He is focused on helping organizations optimize the reliability, security and performance of their network services and applications. 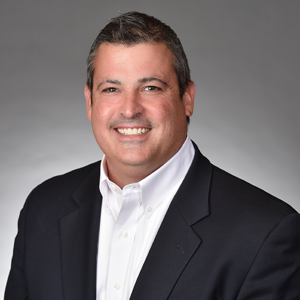 Prior to being named CEO, Mr. Cittadino served as Executive Vice President of Client Solutions for QOS Consulting (the predecessor to QOS Networks) where he directed the design, deployment and support of cloud application and WAN edge solutions for more than 600 companies. In this capacity, he drove revenue growth of more than 300% over 3 years. Previously, he served in a senior sales role at TelePacific Communications, where he delivered Unified Communications, Managed IT Services, Telecom and Internet Connectivity Solutions, and Cloud and Business Continuity Services to enterprise customers in banking, insurance, hospitality, retail and technology industries. 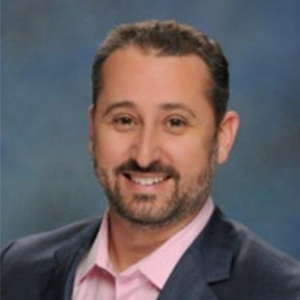 Mr. Cittadino began his career at The Home Depot, where he served in a series of increasing senior operations roles devoted to driving organic growth and delivering value at the local, regional and corporate level. He earned a Bachelor’s Degree in Finance from East Carolina University. Vern Hanzlik has been in the enterprise software industry for almost three decades. 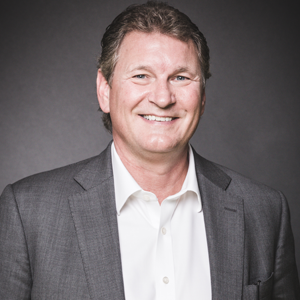 Prior to joining Qumu in November of 2012 Mr. Hanzlik was President of TEAM Informatics, a global enterprise solutions and technology company, and President of Sajan Software, a provider of global language translation services and cloud-based translation management. Hanzlik was also the co-founder and CEO of Stellent Inc., which was sold to Oracle in 2006 for $440 million. Vern also currently serves on the board of directors for Savigent Software, Inc., a provider of event-driven manufacturing operations management software, and recently concluded a multi-year board appointment at BriefCam, which was acquired by Canon Inc. in July of 2018. 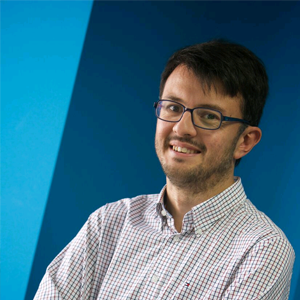 Iago (1978) is the co-founder and CMO of Quobis, a leading real-time communications technology company based in Galicia, Spain.Computers and coding became an obsession at the age of 8 years old, when personal computer were affordable for home economies. After the graduation with a degree in Computer Science in the University of Vigo (Galicia, Spain), he soon started as an entrepreneur with some startups.Quobis was founded in 2006, to fill the gap of creating real-time communication solutions based on open standards for telecommunication operators and large companies Since then, he has been in the cutting edge of VoIP technology, growing Quobis into a leading company with hundreds of well-known customer worldwide. In 2013, his 10+ years of experience and his extensive knowledge of RTC vertical, has helped to the latest launch of the company, Sippo Collaborator, the first corporate fully-interoperable WebRTC endpoint. 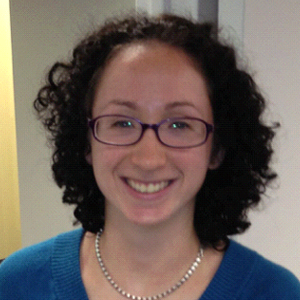 Natasha heads corporate & product marketing and sales strategy for Radisys. Named last year as one of the Global Telecoms Business 50 Women to Watch, Natasha brings nearly 20 years of telecom industry experience with particular expertise in product and corporate marketing, product strategy and business development for cloud, SDN/NFV, wireless and security solutions. Prior to Radisys, as the VP of Cloud Strategy, she was responsible for GENBANDs Kandy.io PaaS strategy and business development. 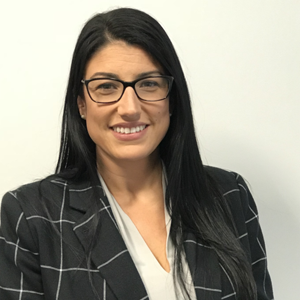 Natasha also spearheaded and launched several of GENBANDs key strategic solutions including Wireless Gateway, Network Security and WebRTC as the VP of Strategic Marketing. She also launched and chaired the Small Cell Forums first interoperability charter and group. Prior to GENBAND, Natasha held various senior leadership positions in Product Management, Product Development, Product Marketing and Technology for NextPoint Networks, Reef Point and Nortel. Natasha holds a Ph.D. in Computational Physics from the Liquid Crystal Institute at Kent State University. 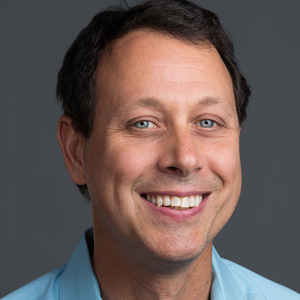 Chris Van Tuin, Chief Technologist for the Western US at Red Hat, has over 20 years of experience in IT and Software. 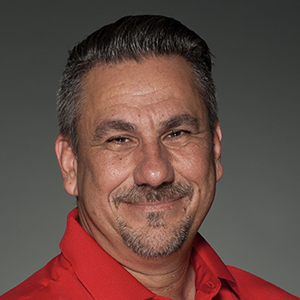 Since joining Red Hat in 2005, Chris has been architecting solutions for strategic customers and partners with a focus on emerging technologies including IaaS, PaaS, and DevOps. 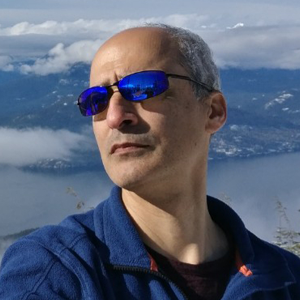 He started his career at Intel in IT and Managed Hosting followed by leadership roles in services and sales engineering at Loudcloud and Linux startups. Chris holds a Bachelors of Electrical Engineering from Georgia Institute of Technology. 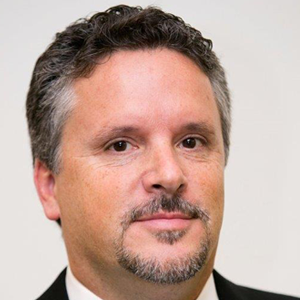 Preston McNair joined Sangoma in late 2014, since then he has been responsible for driving Sangomas Carrier, Enterprise, OEM and channel sales across the Americas. Preston came to Sangoma from a prior acquisition, where he was VP of Sales and Marketing primarily responsible for the FreePBX and SIPStation products. He now is responsible for the entire range of products and solutions offered by Sangoma across the Americas. Sangoma is a trusted leader in value-based Unified Communications (UC) and UC as a Service (UCaaS) solutions. Sangomas Voice over IP offerings include on-premises and cloud-based phone systems, SIP trunking services, and telephony hardware. Sangomas products and services are used in leading PBX, IVR, contact center, carrier networks, and data communication applications worldwide. Sangoma is the primary developer and sponsor of the Asterisk project, the worlds most widely used open source communications software, and the FreePBX project, the worlds most widely used open source PBX software. 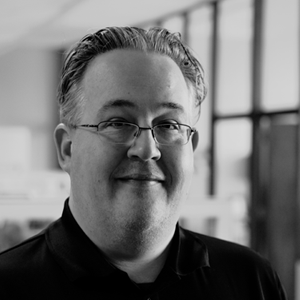 Michael is dedicated to helping channel partners and customers accelerate their business with SherWeb’s Cloud PBX line of products, and is an expert on anything related to VoIP. With nearly 10 years of experience in the telecommunications industry, he has worked with thousands of channel partners across Canada, USA and South America. Eli oversees and directs Shield4UC strategic partnerships. As a CEO he enjoysworking with the team in front as well as supporting any efforts. Hismission is to bring out of the box solutions to the market.Shield redefines cyber security by introducing simple to use, easy tounderstand, innovative new technologies. Shields goal is to equip ourcustomers with advanced technologies allowing them to be their companysHeroes. That is why at Shield we say, You be the Hero. Weve got yourback! Eli in his spare time is also running FaxSIPit, a telecommunication company,which provides a full range of compliant messaging solutions. FaxSIPit workswith variety of service providers and has more than 300 resellers worldwide.Eli has decades of experience that includes the development & marketing ofproducts & services. Eli has managed growth for both start-ups andestablished organizations in public and private sectors, having managedteams of varying in sizes up to few hundred people in Europe, Israel as wellas Canada. Roles include: Product Development Manager, VP Support, VPFinance, Managing Director and CEO. Companies include: Indigo Europe(Nasdaq - INDG, acquired by HP), Nur Europe (Nasdaq - NURM, acquired by HP)and in Canada: NationalPlumbing.com and Intrusion Prevention Systems Inc.Eli holds a B.Sc. (Engineering, TLVU) and EMBA (Technion). Anthony has worked in the Internet Services industry since the late 90s. Throughout his career he has witnessed the advent of the visual interface to the Internet (Web Browsing) converge with modern communications through the evolution of Voice over IP and WebRTC. As the founder of FreeSWITCH established in 2006, he has spent the last 15 years innovating in the digital transformation of modern telecommunications remaining ahead of the curve and developing future facing ideas. Today he continues that journey while building a next-generation communications platform called SignalWire. A technology startup that takes nearly a century of combined experience and a man-millennia of code and brings it to the mainstream. 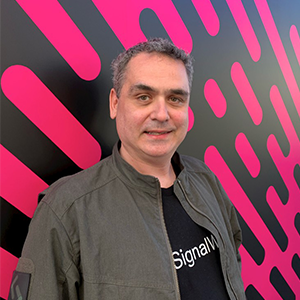 Eric Hernaez is the founder and Managing Partner of SkySwitch, a company that provides Infrastructure as a Service to white label hosted UC service providers. His experience in the UC and telephony space dates back to 1999 when he founded telic.net, one of the first service providers to offer communications infrastructure as a service. Since then he has worked with several pioneering companies in the converged communications space including Solegy, Netmobo and NetSapiens. Maddy Martin is the head of growth and education for Smith.ai, which provides small-business communication services, including their virtual receptionist and intake service, live web chat, and Keypad cloud phone system. She has spent the last decade growing tech startups from New York to California, and has expertise in digital marketing, lead generation, funnel conversion, email marketing, business development, partnerships, affiliate marketing, SEO, social media, and event marketing. 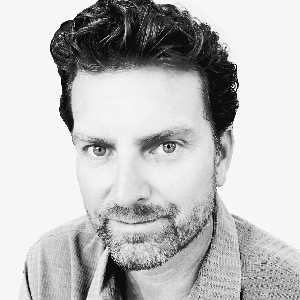 Warren Levitan is co-founder and CEO of Smooch, the omnichannel conversation platform. He previously served as CEO of Radialpoint, which was acquired by AppDirect. Founded in 2015, Smooch connects any business software to all the world’s messaging channels for a more human customer experience. Smooch was named a 2018 Cool Vendor in Conversational Marketing by Gartner. An award-winning CXO and Technical Strategist, Janine is the Founder of STASH Secure Data (https://www.stash.global), a technology company that is at the precipice of eradicating data vulnerability, with a data-centric solution that isn’t better data security, but bona fide data security. Janine has successfully lead globally dispersed teams in the areas of Technology, Operations, Manufacturing, Supply Chain, Sourcing, Quality, Financial Analysis, Transportation, and Regulatory & Compliance for some of the most successful brands in the world, generating billions of dollars in revenues, outcomes driven by her solution-oriented vision and execution. Her expertise in devising innovative business strategy resulting in optimal outcome is well documented. She takes a customer backward approach to business, exploiting the critical interdependency between operational prowess and brand deliverables, to forge long-term loyalty from internal and external partners alike. ?Amongst her recognitions are:?2018 SCMedia Women in Security, Cybersecurity Influencer2018 SCMedia Awards Shortlist best Cloud Security Solution2017 AXA Global Invest Her Award2016 Women of Innovation Honouree2016 Tech Company to Watch2015 Smart CEO Brava Award for Exceptional Leadership2015 Advisory Panel for the George W. Bush Entrepreneur Initiative2011 British Airways Business Leadership Award?Janines commitment to transparency and trustworthiness is a constant; doing well by doing good is always her ultimate goal. 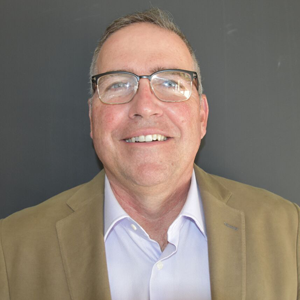 With over 20 years of experience in the technology industry, Ed is hyper focused on customer service, technical integration, systems optimization, and the user experience at Steadfast. He prides himself in an extremely high level of customer service, specifically pertaining to users who have a past with difficult to work with IT departments and unsuitable infrastructure. Resolving technical problems under stressful situations for Steadfast clients is his strength and passion. A leading expert in WAN/LAN switching and routing, Andy co-founded Talari Networks and served as its first CEO after previously serving in executive roles in both startups and public corporations. He was Vice President of Marketing at RouteScience, a route optimization startup, and before that led marketing at MMC Networks, the pioneering Network Processor developer, through its $4.5B acquisition by Applied Micro Circuits Corporation (AMCC) in 2000. Andy also served on the board of LVL7 Systems, a network processing software company. 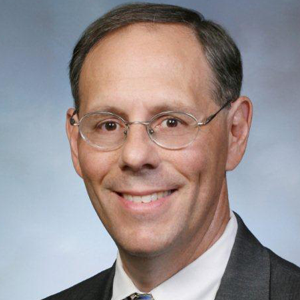 Previously, he spent more than a dozen years at 3Com Corporation, highlighted by his leadership of the Switching Systems business unit through its development and introduction of the CoreBuilder 9000 enterprise switching platform. He also served as 3Coms Vice President of Marketing for Large Enterprise Markets and held a number of other senior marketing, product management, and engineering roles. He holds a Bachelor of Arts degree from Wesleyan University and a Master of Science degree in computer science from Stanford University. 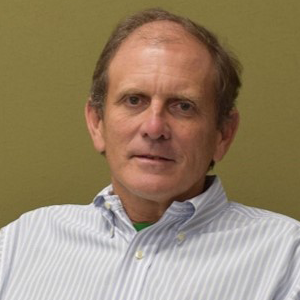 Paul Congdon is a co-founder and is the Chief Technology officer (CTO) for Tallac Networks. He has over 27 years of experience in the networking industry and has become a widely esteemed inventor and leader in the networking industry. 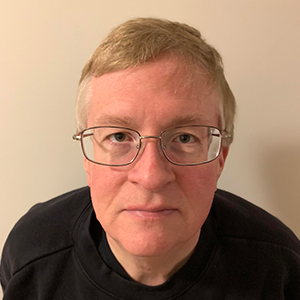 Prior to Tallac Networks, Paul was a Fellow at Hewlett Packard Networking and Communications Labs with responsibility for HP’s research for mobility, wireless and SDN network infrastructure. 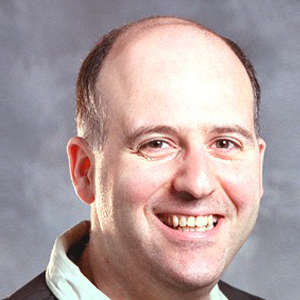 Paul has led, chaired, and is currently contributing widely to industry standards in the IEEE and IETF. Paul has a PhD in Computer Science from the University of California, Davis. Gene is a seasoned IT leader with more than two decades of experience. He is passionate about helping customers and partners adopt technology for better business outcomes. At Pythian, he directs the strategy, operations and market growth of the Tehama cloud-based platform. Gene also sits on the board for the Canadian Advanced Technology Alliance (CATA) Cyber Council. Before Pythian, Gene held several executive positions at IBM, most recently as Worldwide Director of Lab Services for Financial Crimes Insight Solutions in the Watson Financial Services Solutions division. He has also held European and Global executive roles at IBM, Cognos, SAP (Business Objects) and OLAP@Work. Gene is recognized as a visionary thought leader and is a sought-after speaker for both client and industry events. 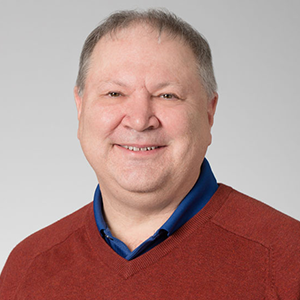 Gene has a Bachelor of Commerce from the University of Ottawa.When not working, Gene is an athlete dad who rides his bike or runs while waiting for his daughters during multiple ballet classes per week. 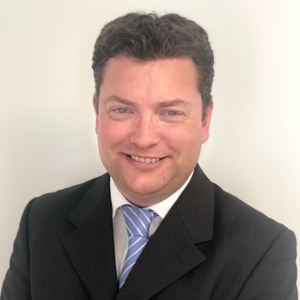 Alan is the Senior Director of Product Marketing at TelcoBridges, with responsibility for the global marketing efforts for FreeSBC, the innovative software-based Session Border Controller from TelcoBridges. Offered as a no-cost download, FreeSBC and the optional paid services and extensions offer a unique business model that better fits the emerging cloud communications application markets. Mr. Percy is also a frequent industry speaker and contributes to a number of industry journals, podcasts, webcasts and blogs covering a range of communications and technology adoption topics. 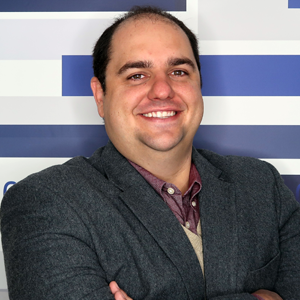 Anthony Stiso leads Telinta’s marketing, sales and partner channels for the company’s cloud-based Switching and Billing solutions offered to both new and established VoIP service providers around the world. This includes solutions for offering Hosted PBX, Mobile VoIP, MVNO, Calling Card, Wholesale and more.He brings over two decades of experience with technology leaders such as AT&T, Verizon, T-Mobile, Telefonica, Telmex, Deutsche Telekom, SAP, HP, Lucent and others. Anthony holds a Bachelors degree in Communications from Rowan University and a Masters degree in Business from the State University of New York. 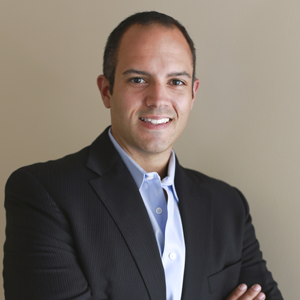 He resides in Miami, and has been part of the ITEXPO community for over a decade. 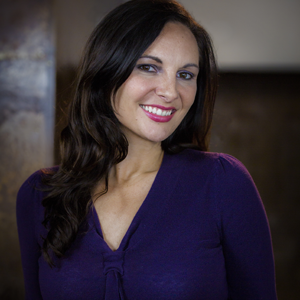 Mclain Roth is the Director of Sales at Telnyx, a real-time communications provider headquartered in Chicago. As a member of an agile organization, Mclain spends his day solving business communications needs, developing innovative and scalable strategies for application developers and enterprise accounts alike. His sales engineering background and technical sales consultant experience at AT&T position him as an expert in the field. He majored in Philosophy at Colgate University in New York. 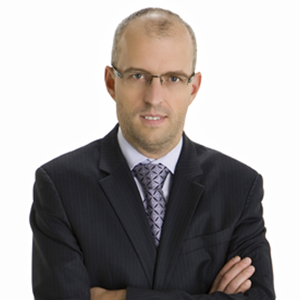 Bernard Breton is the Chief Executive Officer of TELoIP. 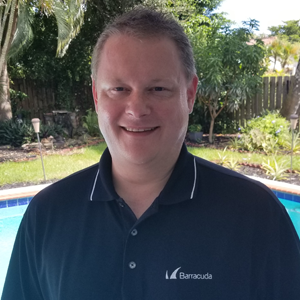 With 25 years of telecom software experience, including more than 15 years in an executive role, Bernard has been using his technical expertise and passion for solving problems to create winning business strategies. Before joining TELoIP, Bernard was recently an executive at InfoVista overseeing product strategy, business operations, marketing and sales. 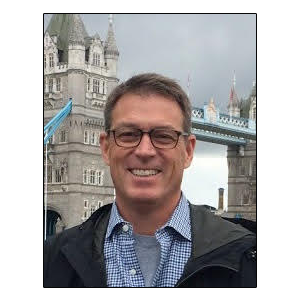 Jay leads the Center for Enterprise Security (CES), responsible for delivery of all security, privacy and regulatory compliance advisory, strategic, architectural and implementation services to Teradata customers in the Americans (and often Globally). CES is a specialized practice or center of expertise in Teradata built on the foundation of advocating, designing and delivering defense in depth, industry and internally engineered best-practices according to the scientific method. As CES director, he is responsible for articulating to customers all things necessary to assist account teams with closing new and existing core opportunities where the ability to deliver business-enabled security, privacy and compliance is a key differentiator.Previously Jay provided security consulting to the worlds largest companies including current Teradata customers. He has created risk assessment programs for government agencies, built information assurance programs for key defense contractors, led a logging and monitoring effort for a Teradata customer and, delivered GDPR, privacy and data protection efforts for large cross-vertical customers globally.He is a sailor, aviation enthusiast, photographer, watch collector - and truly pathetic on the bass guitar and keyboards. 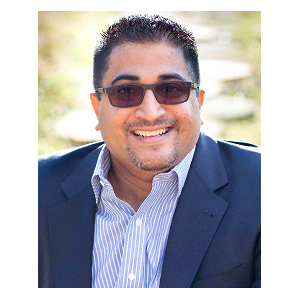 Pej Roshan is VP of Products for Teridion with over 20 years of experience in marketing and product management. Prior to joining Teridion, Pej ran product management for the Aruba Networks business unit responsible for delivery of cloud based network management. Previously, he served as the vice president of product management at ShoreTel, which he joined with the acquisition of Agito Networks, where he was the chief marketing officer and co-founder. 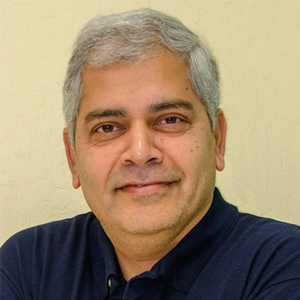 Before founding Agito, he held various product management and marketing roles in Cisco Systems Wireless Networking Business Unit.Pej’s accomplishments include participation in the IEEE 802.11 task groups responsible for security (802.11i) and QoS (802.11e) and co-authoring ‘802.11 Wireless LAN Fundamentals’, published by Cisco Press in 2004. He is the author of several wireless networking patents. Pej holds a bachelor’s degree in Business Administration from California Polytechnic (Cal Poly) University. Paul is the director and enterprise architect of This Solution. Paul combines out of the box thinking, thought leadership and a long career in IT to deliver best practice outcomes for clients. Energetic, likeable and smarter than 10 techies lined up end-to-end, Paul is the resident mad professor at This Solution; always tinkering with something new and exciting beneath his NASA-like screen array. He is the visionary engine that drives This Solution and is responsible for many of the bleeding edge innovations that have allowed clients to push their businesses forward. Jim Dalton began his telecom career at BellSouth in 1988 in roles that included financial analysis and market planning for their GSM wireless and mobile data businesses. Recognizing the promise of Voice over IP, Jim founded TransNexus in 1997 to develop software solutions for VoIP carriers. Over the following years, TransNexus has developed applications for Least Cost Routing, billing support, quality of service monitoring, analytics, and prevention of telecom fraud and unwanted robocalls. During this time, TransNexus has obtained 27 patents for various software innovations. Recent innovations include the development of software that uses the SHAKEN/STIR framework to authenticate, sign and validate caller ID information for prevention of unwanted robocalls, which often use caller ID spoofing to lure subscribers into answering robocalls. 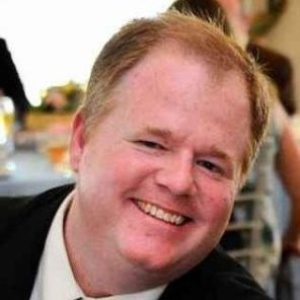 Tom Phelan, CTO of Unified Office, has nearly 24 years experience developing embedded systems and network management products for the data and telecommunications industries. He has held leadership roles in several companies, including VP of Engineering, CTO, VP of Marketing and VP of Advanced Development. 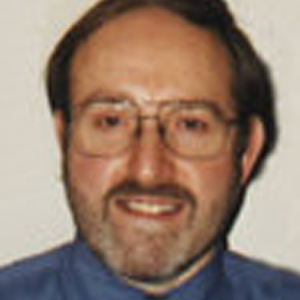 Tom has also held leadership positions in the general industry, including co-chair of the DCCP working group at the IETF, the lead developer of Proxy Admission Control at the MPLS Forum, and has made significant contributions to security standards for VoIP networks and emergency telecommunications for ATIS. 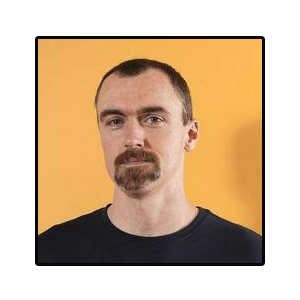 For the past 10 years Tom has been Principal Architect at Sonus Networks, working in the Office of the CTO and other groups to architect VoIP products for the telecommunications carriers. 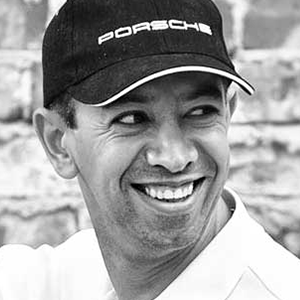 Ted has a unique and successful background as a systems programmer, professional musician, freelance film producer, published writer, PGA golf professional, and business owner. Throughout the United States and Canada, and drawing from his unique background experiences, Ted is a sought-after speaker who conducts seminars, workshops and key-notes that have assisted businesses to evolve from being “good,” to becoming “better,” by being “different.” His areas of focus are on leadership, team development, and customer engagement… basically people. 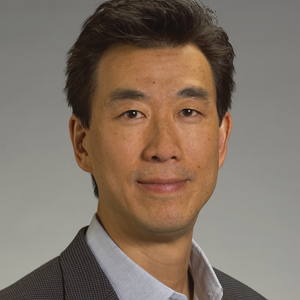 Mr. Steven Woo, also known as Steve, co-founded VeloCloud, Inc. in 2012 (now part of VMWare) and serves as Vice President of Products. Previously, Mr. Woo was the Vice President of Marketing and Business Development at Riverhead Networks, leading the security company to dominate the market for protecting ecommerce from distributed denial of service attacks. He parlayed this success into an acquisition of Riverhead by Cisco Systems, (CSCO). At Cisco, he drove the integration of behavioral anomaly technology into their security platforms and deployments to leading enterprise and financial customers. Prior to Riverhead, Mr. 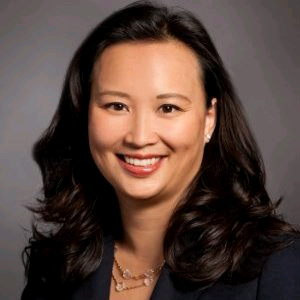 Woo served as Director of Marketing for Enterprise Management solutions at Cisco responsible for a portfolio of security management, traffic analysis and quality of service tools. A serial entrepreneur at heart, David Walsh has founded, productized, and scaled four successful companies from inception to exit.He began in 2001 with Global Capacity, a company that aggregated large bandwidth providers and enabled them to buy wholesale access and provision services online. Not content with just one project, David then launched Net Source Communications, which grew into an award-winning master-channel partner for AT&T/SBC in less than two years. Both companies were successfully sold.In 2008 David established Starview, an award-winning software and VOIP platform. In two years he took the company from an annual revenue of $0 to $14m, and then oversaw the successful sale of Starview into two business units. One of these became Shango, an API-driven platform that enabled communications service providers to rapidly onboard third-party applications and IoT services.Currently, David is the CEO of VoIP Innovations and co-founder of Vocaly.io. He sits on several boards and serves as a mentor to entrepreneurs at Capital Factory and Galvanize in Austin, Texas. He is also the Tech Lead for Austin’s Smart City Initiative. 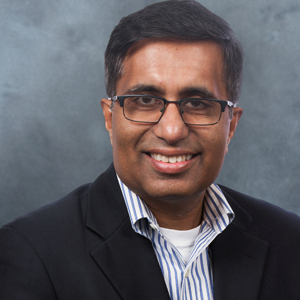 As VP and Chief Technology Architect, Business Engineering for Vonage, a leading provider ofbusiness cloud communications, Sanjay Srinivasan is responsible for the Company’sengineering and product development. With more than 20 years of experience in data networks,voice services and hosted application services, Sanjay’s expertise includes network design,VoIP, software architecture, service provider process engineering, product marketing, andnetwork and service operations.Sanjay joined Vonage upon the Company’s acquisition of Telesphere in 2015, where he servedas Chief Technology Officer.Sanjay holds a doctorate degree in Electrical Engineering from the University of Virginia and is amember of Engineering Honor societies Eta Kappa Nu and Tau Beta Pi. 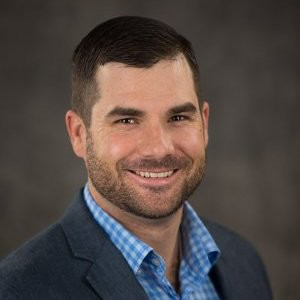 Corey McFadden is the founder and President of Voneto LLC, a communication solutions firm that ranks among the top national IP telephony integrators. He brings over 19 years of industry experience to Voneto with a unique background that includes experience in call center operations, field-consulting, project management, IP telephony, and software development. Corey has been a featured lecturer at numerous business conferences, published articles on business and technology, and been the subject of a television program profiling visionary businesspeople in Pennsylvania. » "Tune Up" Your Contact Center! 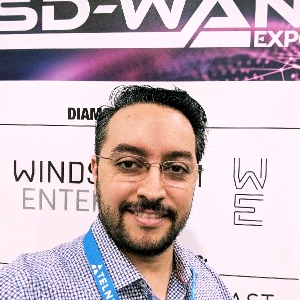 Having managed IP/MPLS networks and service provider products for nearly 20 years, Jason co-founded WAN Dynamics based on the belief that SD-WAN will be the way we build wide area networks from now on. Working with networking technologies is not only his profession, but something of a hobby as well. Jasons education consists of hacking on Linux since 97 and surviving the late 90s/early 00s ISP world. He now lives in the woods outside of Cleveland Ohio with his wife, 2 girls, 2 dogs and a rabbit. Nathan is a 10-year veteran of the I.T. industry. He joined Webroot in November of 2016 supporting the SMB Channel Team for the East region as well as RMMs Ninja and Continuum. Before Webroot, Nathan worked at an MSP supporting 4,000 users and acted as the I.T. Director for a landscape and construction company supporting 10,000 users in 30 locations. 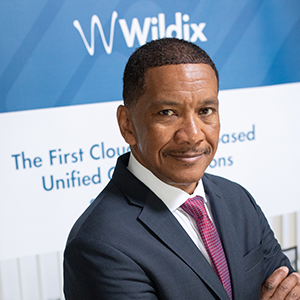 Robert Cooper, General Manager of Wildix North America, has over 30 years of Executive experience in the UC&C and Telecommunications Industry, He has held Senior positions and led Sales and Business Development for organizations such as eZuce Aastra, Ameritech and MCI. Mr. Cooper has sat on the advisory boards of several hi-tech startups and was on the Governors Advisory Board for small business in the state of Alabama. He was also appointed and served as a State Chair for the White House Conference on Small Business (Minority Delegates Caucus) focused on IT development. Giuseppe started to work in the Telecommunication market as a technician of telephone exchanges in Telecom Italia in 1980, following the digital evolution until 1984.Subsequently, he participated in the first Unix network deployment (1984-1988).In 1988 he was hired as a manager at the Olivetti training center. After a few years, Giuseppe moved to the Olivetti Ambrasoft subsidiary, following research projects in the international arena from the Brussels HQ.After the Ambrasoft experience, Giuseppe founded Archesis (1994) and made his first CRM systems within the WEB and CTI.In 2000 he was involved in the creation of the first Italian VoIP operator.In 2005 he founded, along with Diego Gosmar, Wildix, a VoIP hardware manufacturer which soon reached many distributors and resellers all across Europe.Giuseppe has been actively working in the Open Source Asterisk community, contributing in many topics, ranging from WebRTC Respoke GitHub updates and special asterisk optimization for customer care environments.He is also co-authors of the first Italian book about Asterisk, and passionate evangelists about Open Source VoIP technologies:http://www.apogeonline.com/libri/9788850327423/schedaIn 2007 returns to the origins and Telecommunications software, thus - after winning a prize for the best business plan in the field of telecommunications - he founded (always with Diego Gosmar) Xenialab SrL, start up within the Polytechnic of Turin with the roles of CTO and senior strategic partner.The passion for technology, skills and company management are the basis for determining the development and success of the XCALLY product. 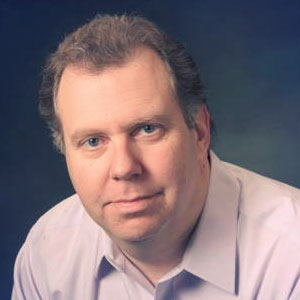 The creator of the Yottabyte software architecture, Greg Campbell heads product development, including R&D, application development and quality assurance. He specializes in creating highly fault-tolerant, hardware-efficient, and scalable software platforms. Earlier, he was co-founder and Vice President of Technology of Codespear, where he created a platform that allowed for interoperable communications. He also holds multiple patents pending for computer software and hardware. Campbell studied computer science at the University of Michigan - Dearborn. Alex Quilici is the CEO of YouMail, where he has led it from a few thousand users to a powerhouse with nearly 10 million registered users. Prior to YouMail, Alex co-founded and was the CEO of Quack.com, which provided a consumer voice portal service that was essentially SIRI over a 1-800 number back before there were smart phones. AOL acquired Quack for $200 million in August, 2000, just 18 months after it was founded. At AOL, Alex was a Vice President of Voice Services, where he helped drive the division to multiple product launches and over 1 million paying subscribers and over $50 million in annual revenue. Alex holds a PhD in Computer Science from UCLA, and is the co-inventor on 5 patents. 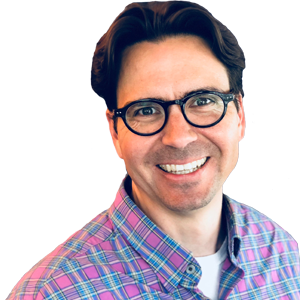 Roger Brassard joined Zix in January 2007 and is a proud member of the Product Management team, currently priming the ZixCentral cloud platform, reporting, and the MSP program. He’s also been involved with several key introductions in our threat protection solution. 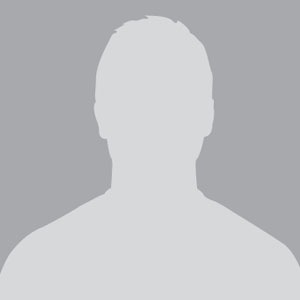 Roger is just shy of 19 years’ experience in product management within security and telecommunications. 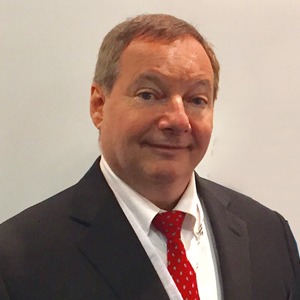 Prior to his role at Zix, he spent 30 years at Nortel/Avaya in various positions including product management, technical support engineering, and Lean Six Sigma Black Belt. 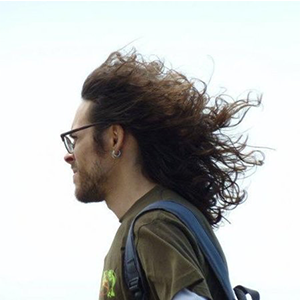 Roger studied computer science and music in Southern California and is currently in pursuit of his Certified Ethical Hacker (CEH) and Certified Information Systems Security Professional (CISSP) certifications. In his spare time he enjoys playing music and is an avid endurance sports athlete. 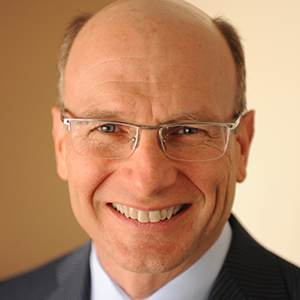 Gary Audin has more than 40+ years of computer, communications and security consulting and implementation experience. He has planned, designed, specified, implemented, and operated data, LAN, and telephone networks. These have included local area, national and international networks as well as VoIP and IP convergent networks in the U.S., Canada, Europe, Australia, Caribbean, and Asia. He has advised domestic and international venture capital and investment bankers in communications, VoIP, and microprocessor technologies. 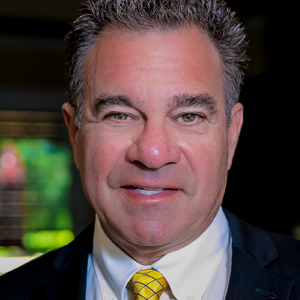 Phil Edholm is the President and Principal of PKE Consulting. PKE consults to end users and vendors in the communications and networking markets. PKE works with our clients to deliver the value of the integration of information and interaction. Whether with Unified Communications or integration of communications and business processes, PKE has the experience and knowledge to transform your organization. 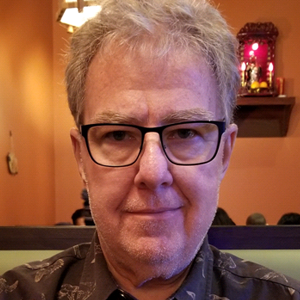 Phil is also the organizer of WebRTC World Expo and Conference, the global eco-system event for WebRTC, the next major transformation in technology.Phil Edholm has over 30 years experience in creating innovation and transformation in networking and communications. Prior to founding PKE , he was Vice President of Technology Strategy and Innovation for Avaya. In this role, he was responsible for defining vision and strategic technology and the integration of the Nortel product portfolio into Avaya. He was responsible for portfolio architecture, standards activities, and User Experience. Prior to Avaya, he was CTO/CSO for the Nortel Enterprise business for 9 years. At Nortel, he led the development of VoIP solutions and multimedia communications as well as IP transport technology. 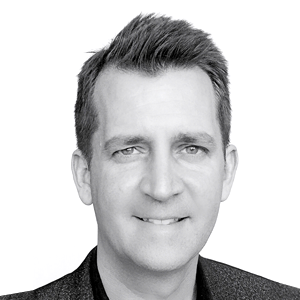 His background includes extensive LAN and data communications experience, including 13 years with Silicon Valley start-ups.Phil is recognized as an industry leader and visionary. In 2007, he was recognized by Frost and Sullivan with a Lifetime Achievement Award for Growth, Innovation and Leadership in Telecommunications. 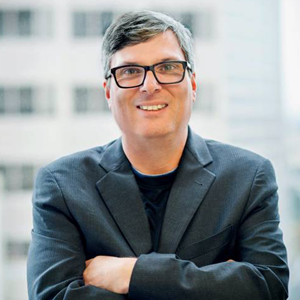 Phil is a widely sought speaker and has been in the VoiceCon/Enterprise Connect Great Debate three times. He has been recognized by the IEEE as the originator of “Edholm’s Law of Bandwidth” as published in July 2004 IEEE Spectrum magazine and as one of the “Top 100 Voices of IP Communications by Internet Telephony magazine. Phil was a member of the IEEE 802.3 standards committee, developed the first multi-protocol network interfaces, and was a founder of the Frame Relay Forum. Phil has 16 patents and holds a BSME/EE from Kettering University. Peter Radizeski is an accomplished blogger, author, agent and consultant in the telecom industry. He has helped many telecommunications companies with sales training, marketing, channel development and business strategy. He is a trusted source of knowledge about the telecom sector. Publisher, Telecom Reseller 1991- Present, Associate Publisher 1988-1991, Trustee NATD 2006- Present, Publisher NATD WORLD, AVAYA EXTRA, Cisco Tribune. Growing up a gamer, the love of tech started for Maurice at a young age. This passion evolved over time and today includes interest in the IoT, UC, digital services and network transformation. With TMC, Maurice stays at the tip of the innovation spear by reporting on cutting edge solutions extending from the data center to the end user. Maurice is a graduate from the University of Connecticut with a degree in Political Science and Communications. 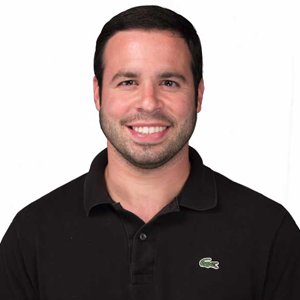 He previously interned and worked for ESPN Radio where he wrote on-air material, produced programming and covered the Miami area teams (Dolphins, Heat, Marlins, Panthers). Maurice has been published on cbssports.com and Bleacher Report. Andy Abramson is the founder of Comunicano, Inc., a full-service value creation communications agency, servicing start-ups, companies in transition and established brands with regard to marketing, advertising, public relations, promotion, events and reputation management. Comunicano operates globally as a virtual company, with its headquarters in Del Mar, CA. Founded in 1992, since 2000 the company has participated in the exit or IPO’s of 32 companies in the mobile, telecom or IT infrastructure sectors or related industries. The acquiring parties of some of the companies include Google, Yahoo, Nokia, Cisco, Symantec, Computer Associates, IBM, Citrix, Fidelity Investments and Logitech as well as supporting Accredited Home Lenders, Magor, Boingo and Vringo up to their public offerings. 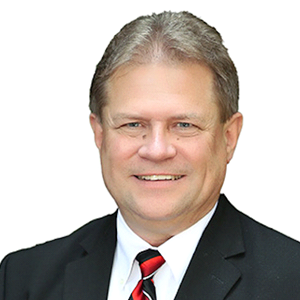 A veteran of the marketing and public relations industry with over 39 years of experience in all facets of marketing and corporate communications, Andy started his career in the marketing department of a professional sports team at age 14 and has been at it ever since. Since then he has held a series of front line marketing and communications managerial roles with three professional teams including the Philadelphia Wings, Philadelphia Flyers and Denver Nuggets, followed by roles in senior account management within the Foote, Cone and Belding/Impact and guiding the public relations and sports marketing for The Upper Deck Company, before founding Comunicano in 1992. Often quoted both in the consumer and technology industry press, since 2003 Andy has authored VoIPWatch (http://www.andyabramson.com), a leading industry blog focused on mobile, video, voice, collaboration and over the top technology while also serving as the technology correspondent for the syndicated radio program, Business Rockstars, whose flagship station is KFWB-AM in Los Angeles, CA while also serving as a member of the board of advisors of multiple startups around the world.